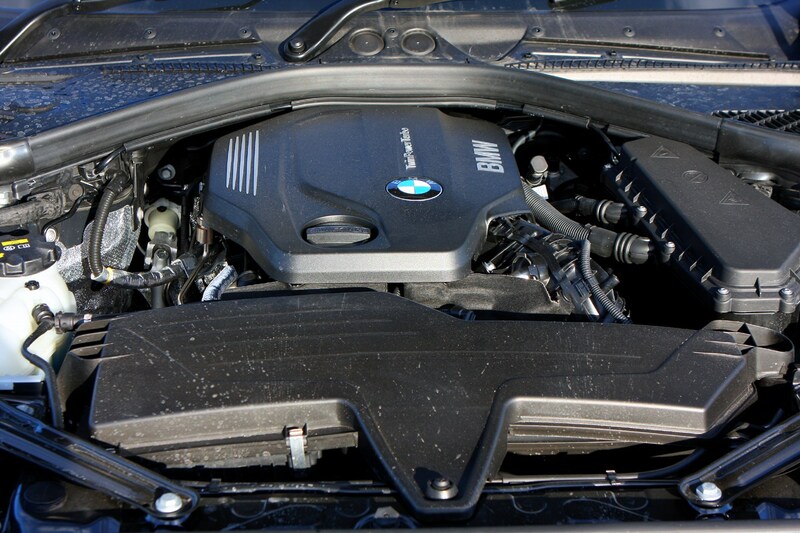 Insurance group: 21 - 46 How much is it to insure? This is the all-new BMW 2 Series Convertible, and as the name suggests, it’s a convertible version of the 2 Series Coupe. 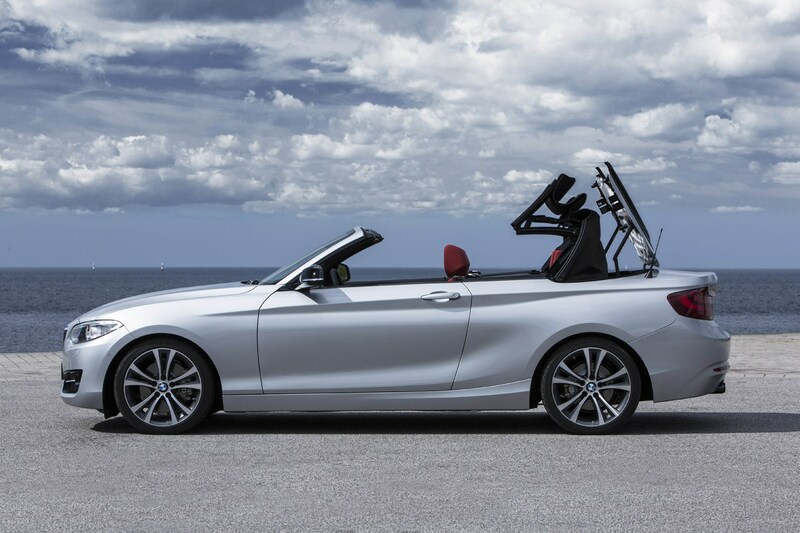 Set to take on the likes of the Audi A3 Cabriolet and Vauxhall’s Cascada, this new model fills yet another niche in BMW’s ever-expanding line-up. 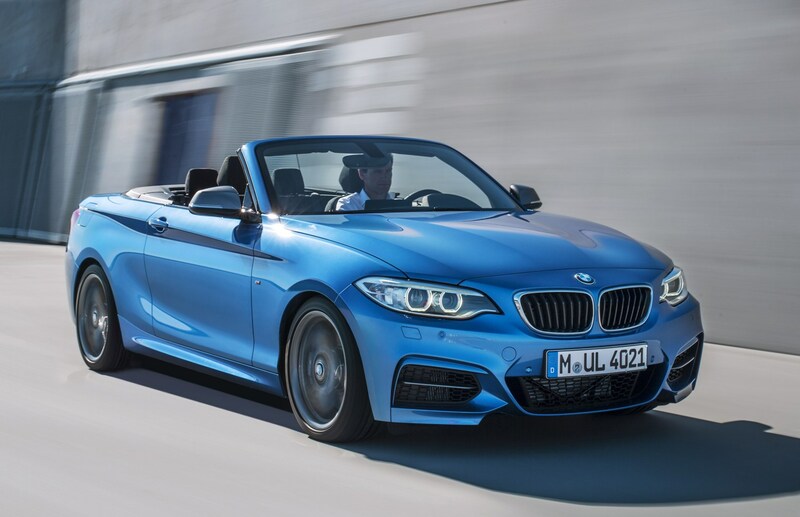 It replaces the 1 Series Convertible, which sold in huge numbers, and for the first time BMW is launching a performance M235i version to sit at the top of the range. 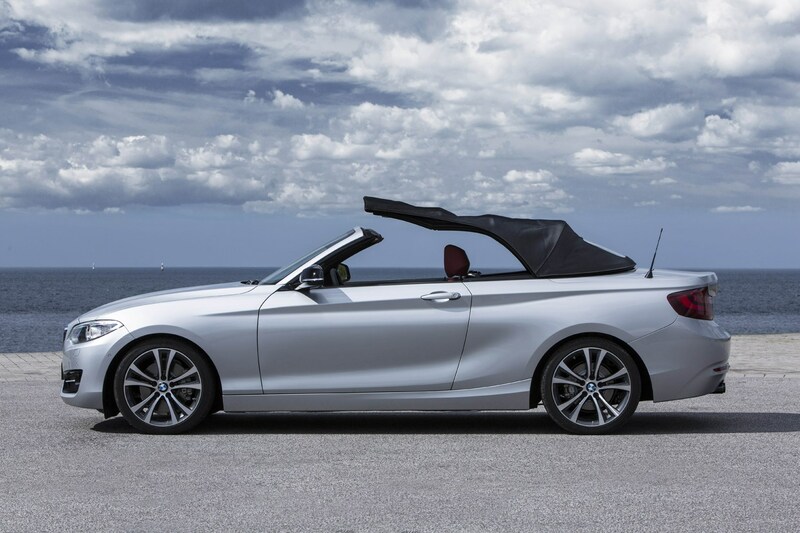 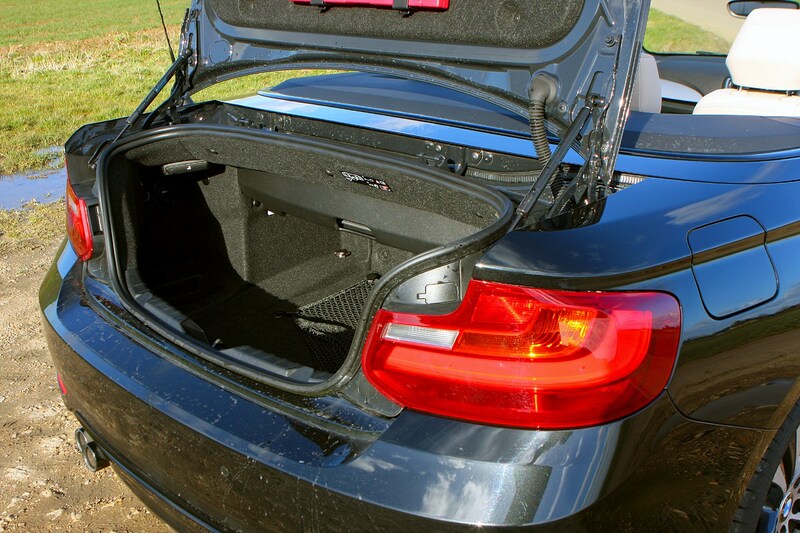 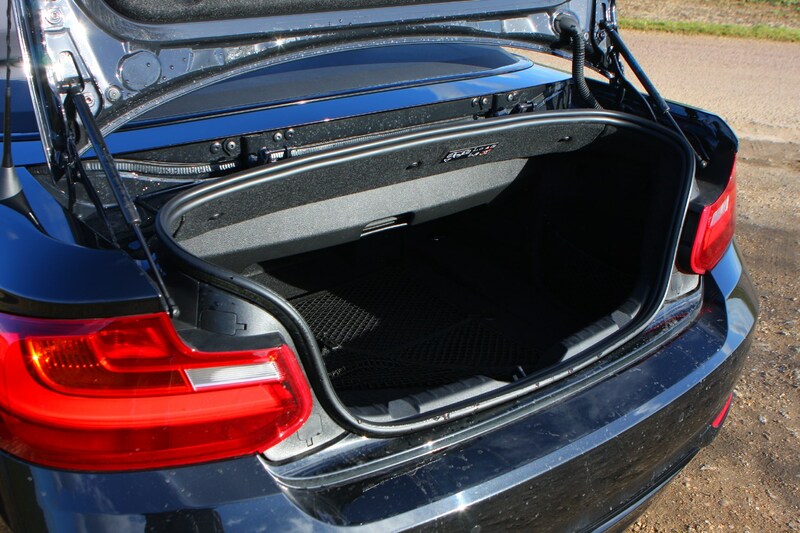 Longer and wider than the 1 Series Convertible, there’s more space to play with now both in terms of cabin and boot – the latter measuring 335 litres, so 30 litres up over the 1 Series drop-top it’s replacing. 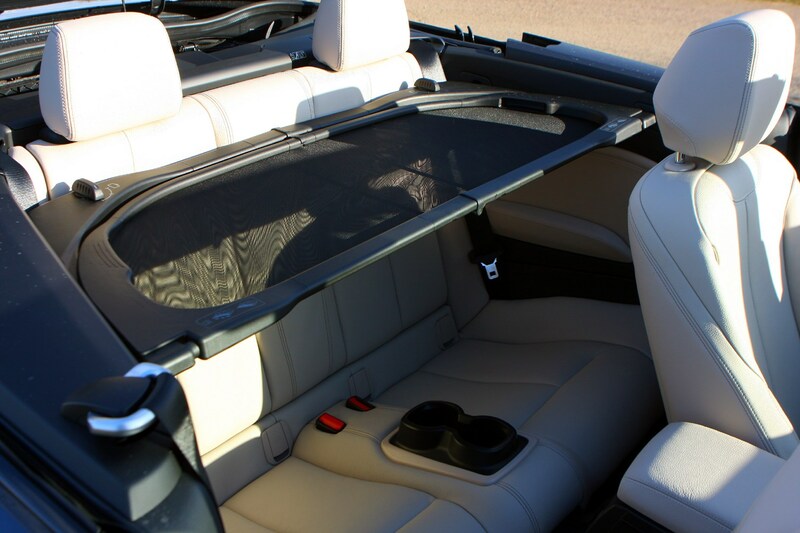 The electric fabric roof opens or closes in 20 seconds, and features more insulation and better aerodynamics to make for a quieter ride with the hood in place. 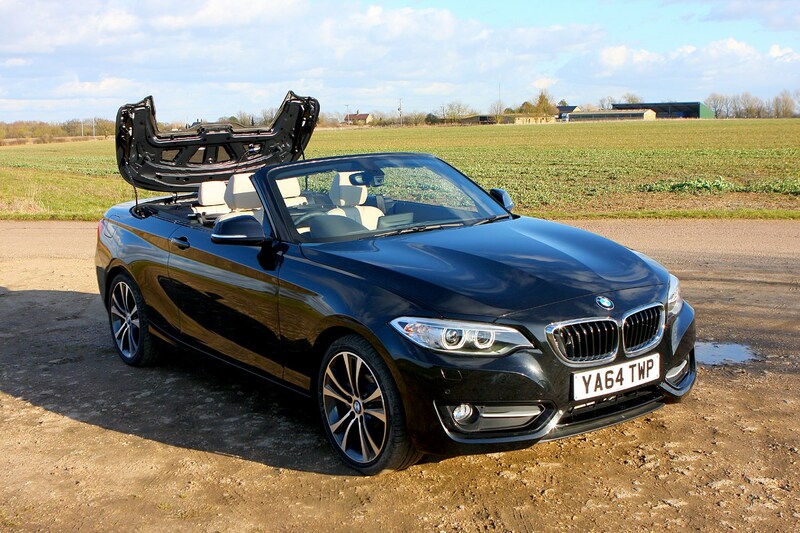 A new wind deflector helps prevent buffeting when the roof is down. 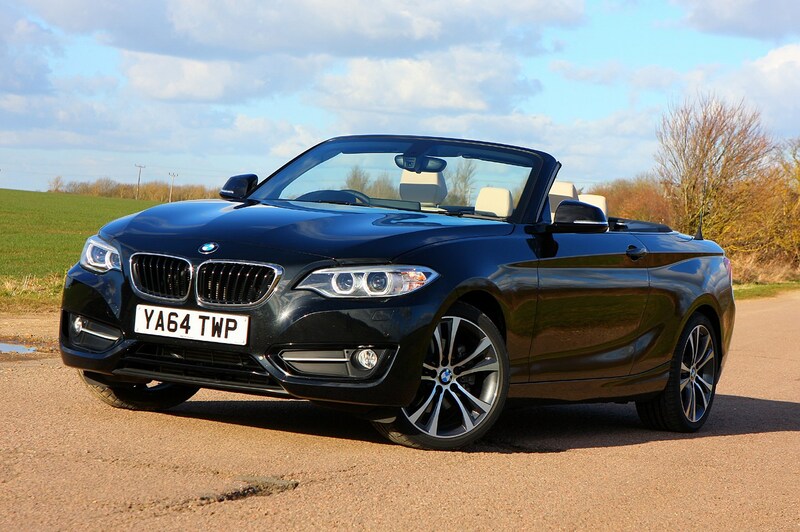 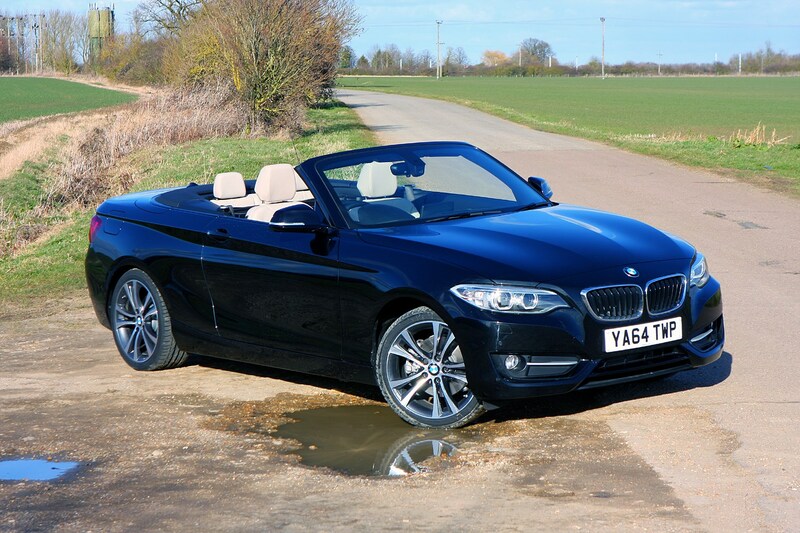 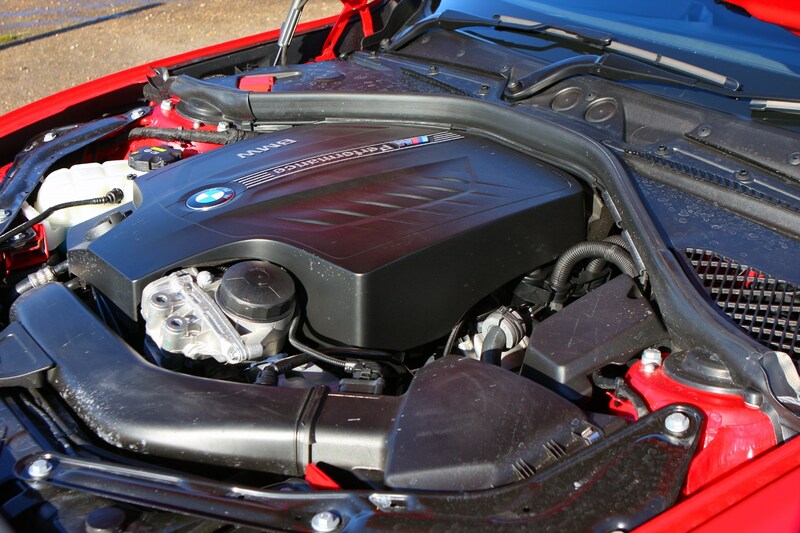 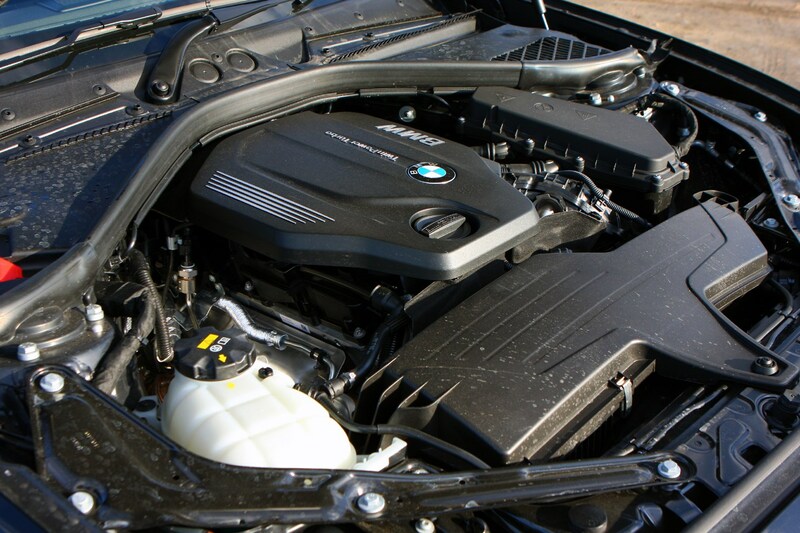 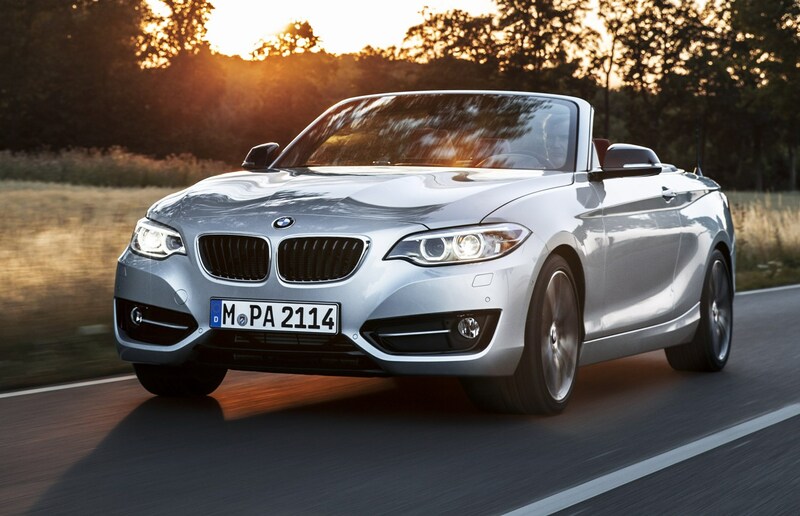 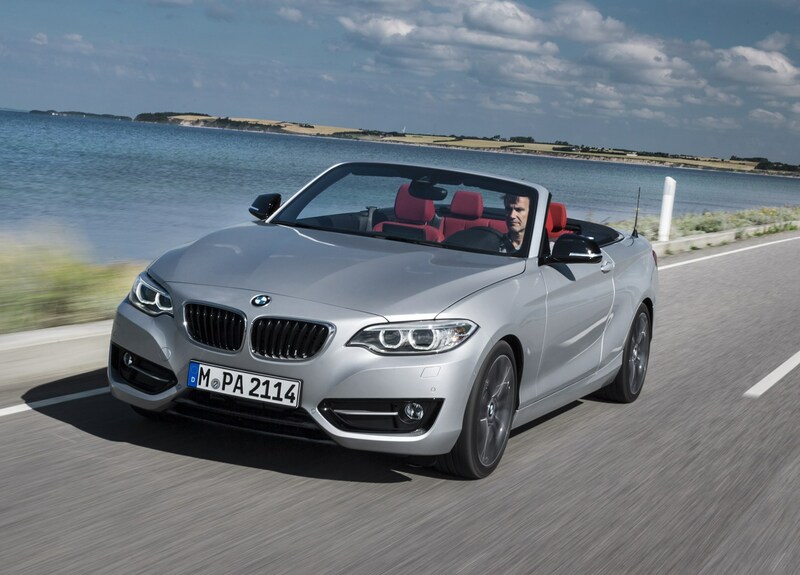 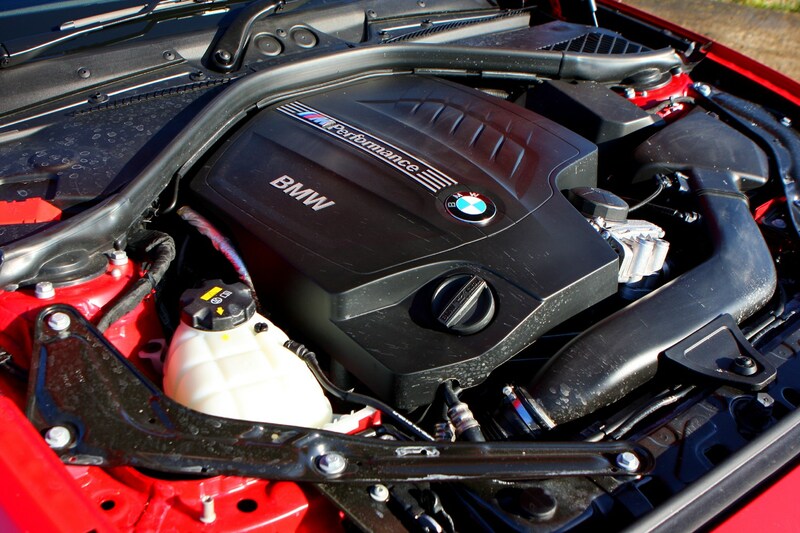 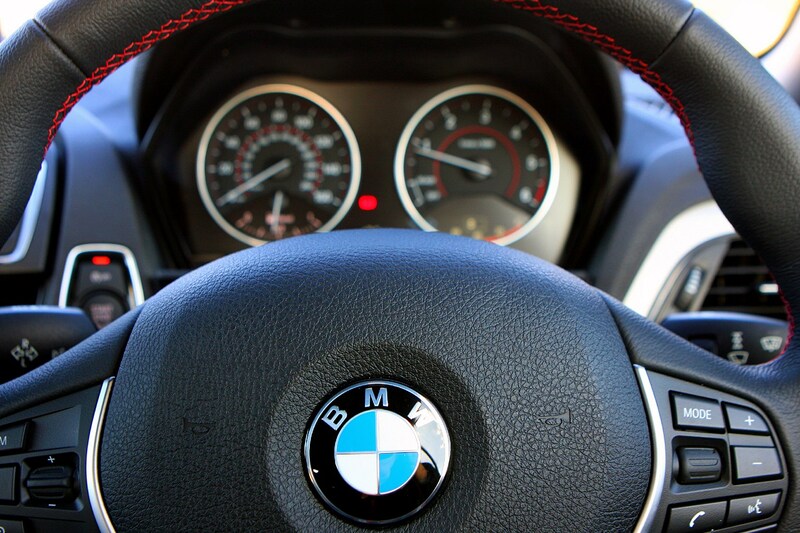 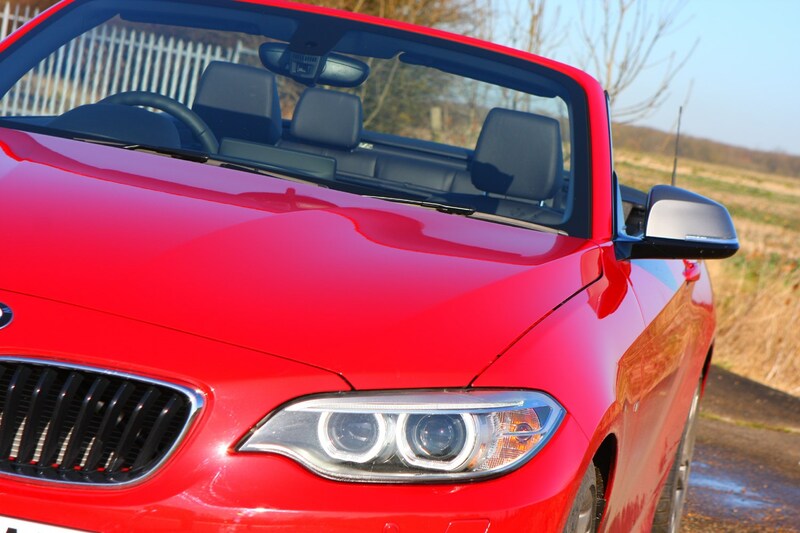 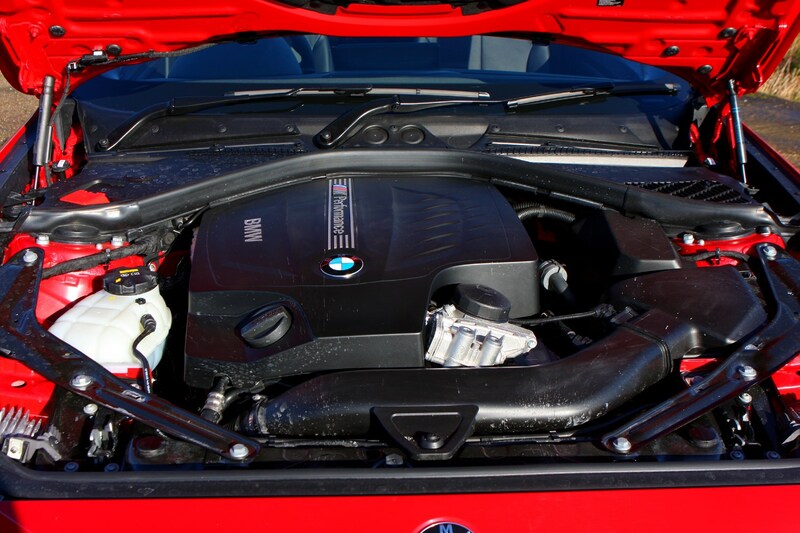 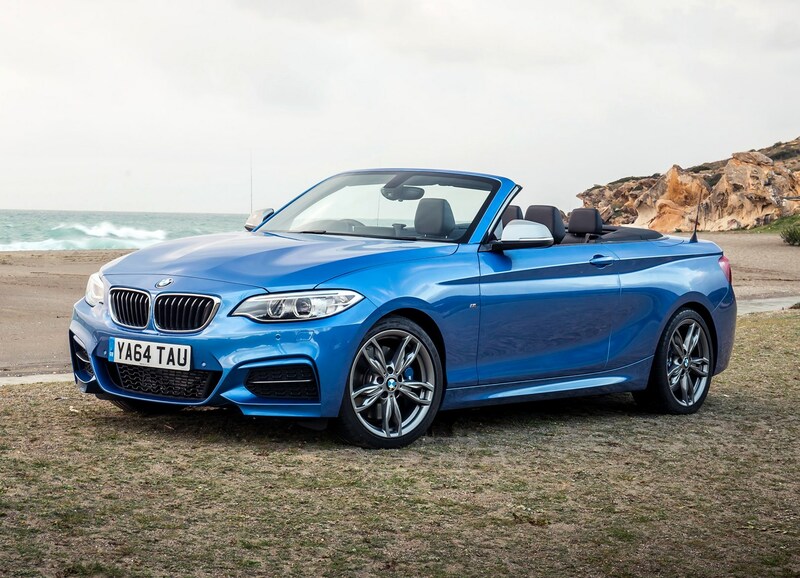 There is a quartet of engines on offer when the 2 Series Convertible hits our shores. 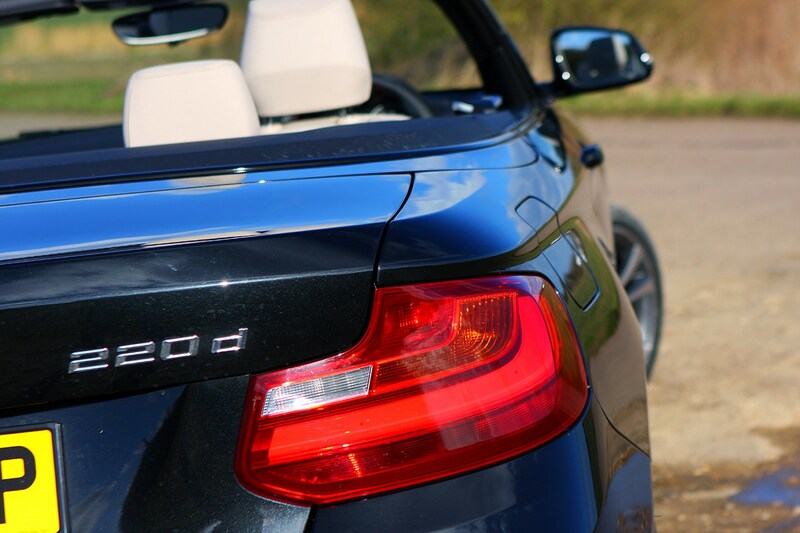 The sole diesel option is the 220d, which boasts 190bhp and 400Nm of torque for a 0-62mph sprint in 7.5 seconds, or 7.4 seconds when fitted with the optional eight-speed automatic that’s available on each model. 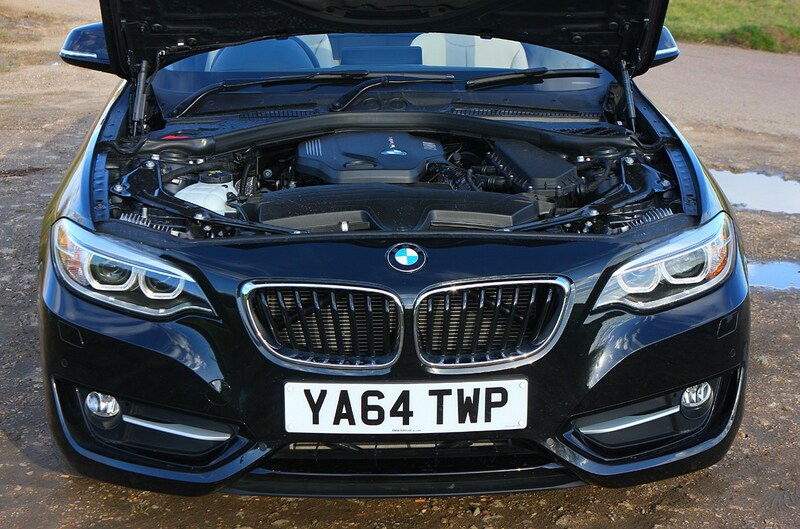 Petrol power comes in the form of the 220i, which has 184bhp and 270Nm covering 0-62mph in 7.5 seconds, or 7.6 with an auto ‘box. 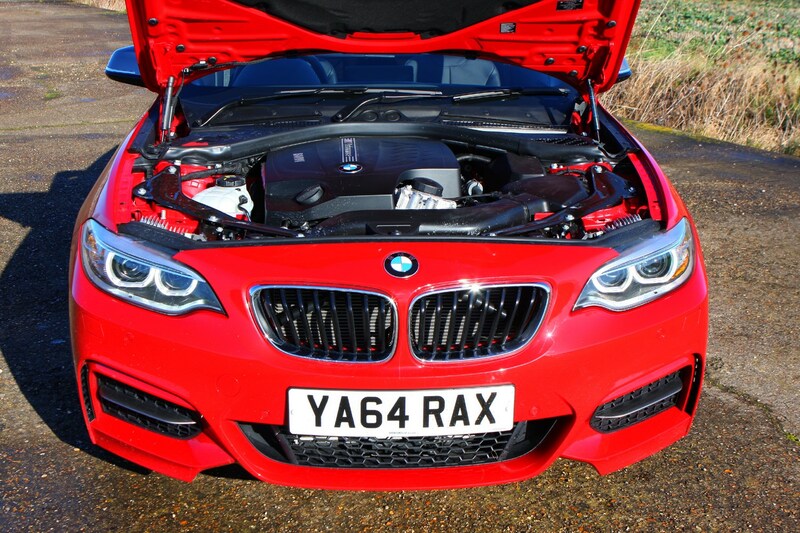 The 228i gets 245bhp and 350Nm, so will do 0-62mph in 6.1 seconds (or six flat with the auto). 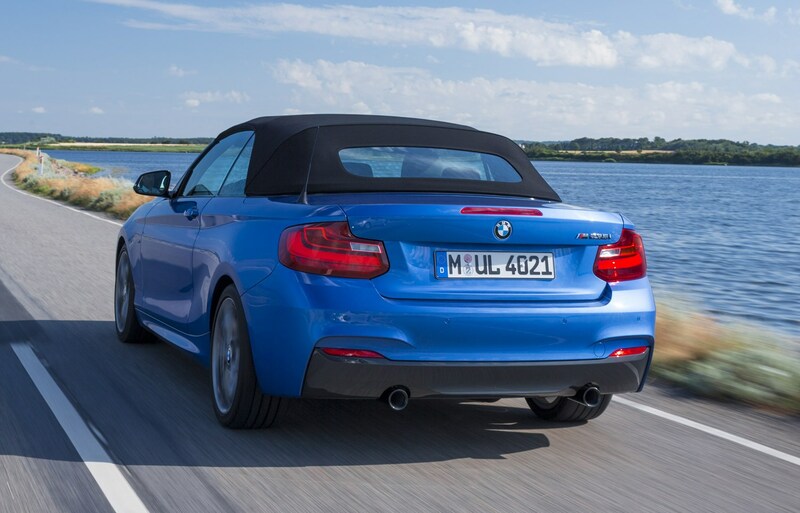 It's the M235i Convertible that gives the best performance though, using a 3.0-litre, six-cylinder turbocharged engine to make 326bhp and 450Nm of torque. 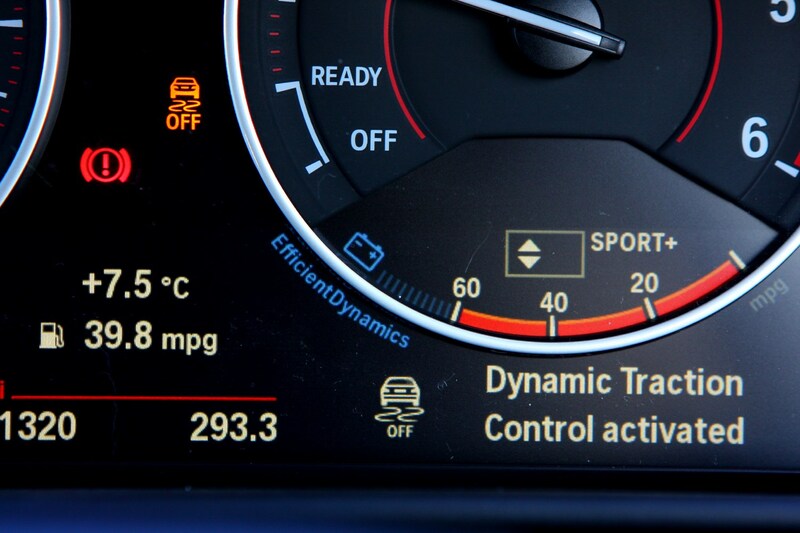 The 0-62mph jaunt takes 5.2 seconds, while automatic versions will do the same in five flat. 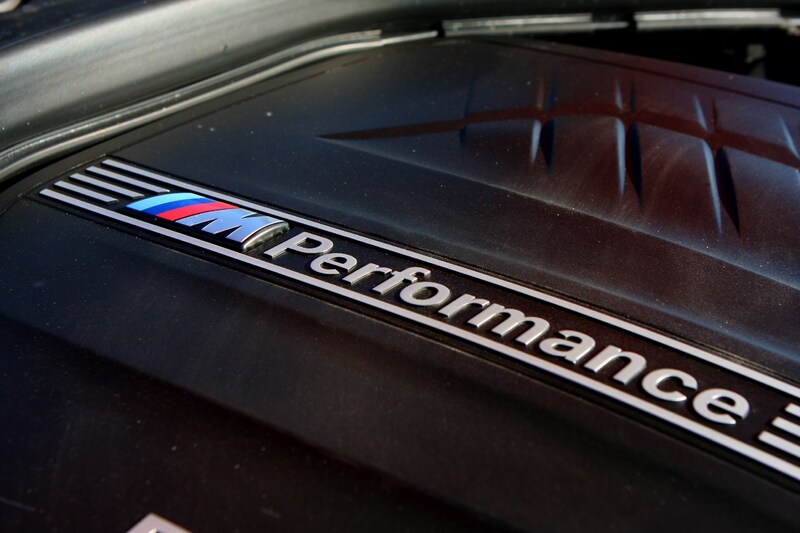 Of course, the pay-offs for performance are fuel economy and CO2 emissions. 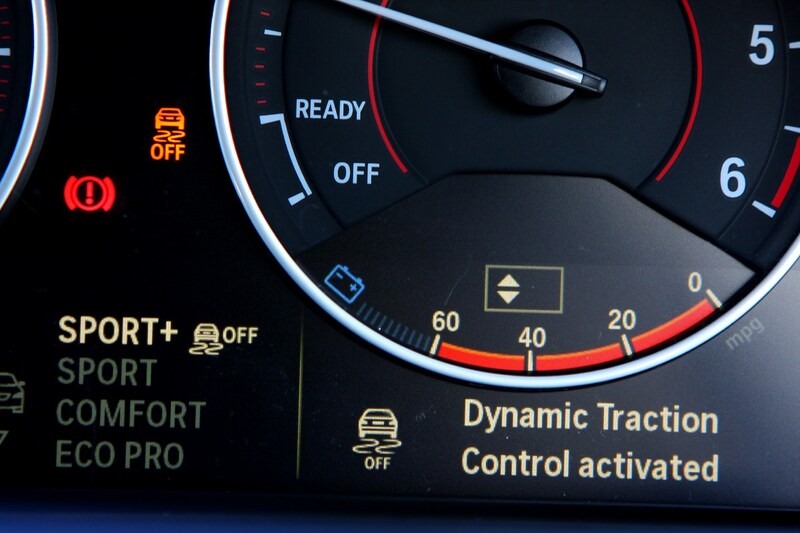 As ever with new BMW products, the firm has employed its EfficientDynamics tech to keep things as frugal as possible. 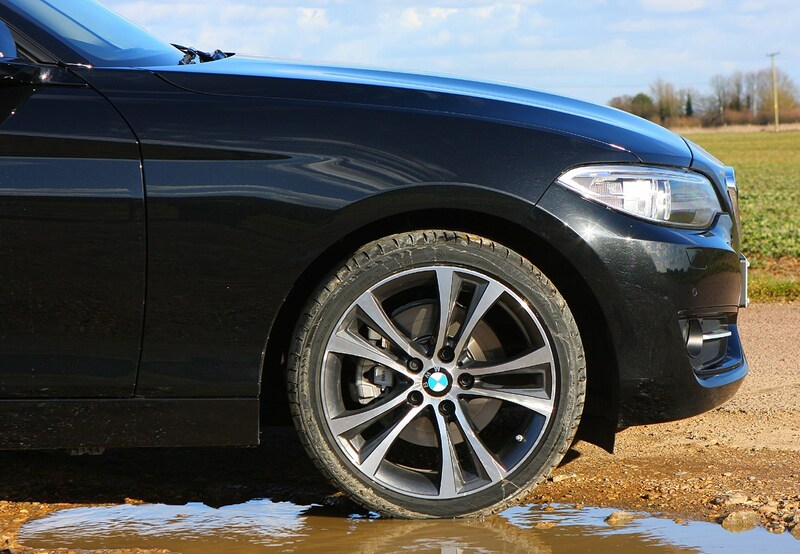 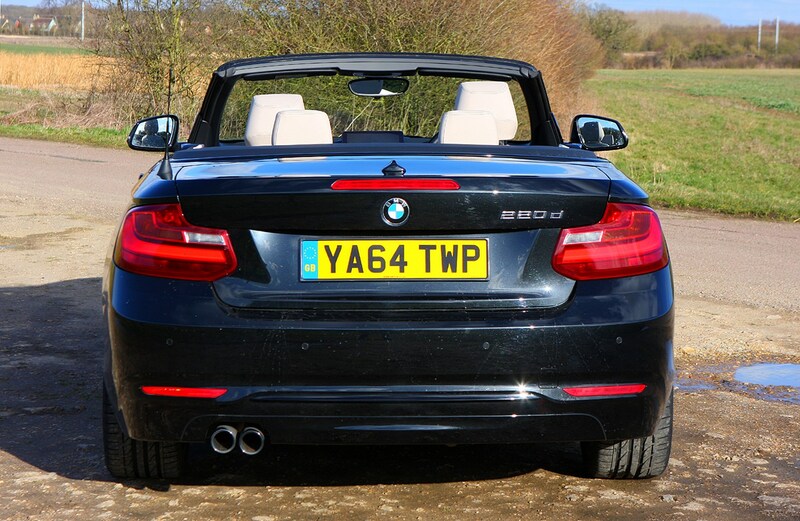 The best of the bunch in this respect is the 220d diesel, which returns up to a claimed 60.1mpg and 124g/km. 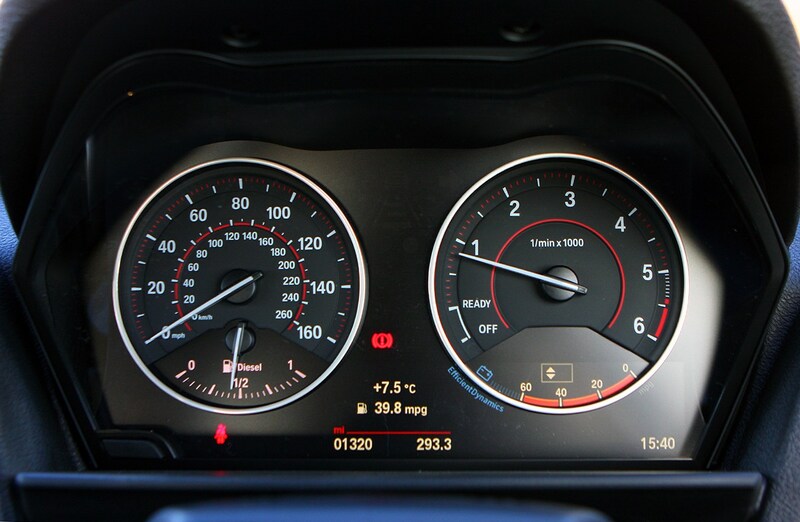 Both petrol models return a claimed 41.5mpg and 159g/km, while the M235i will get to a claimed 33.2mpg and 199g/km. 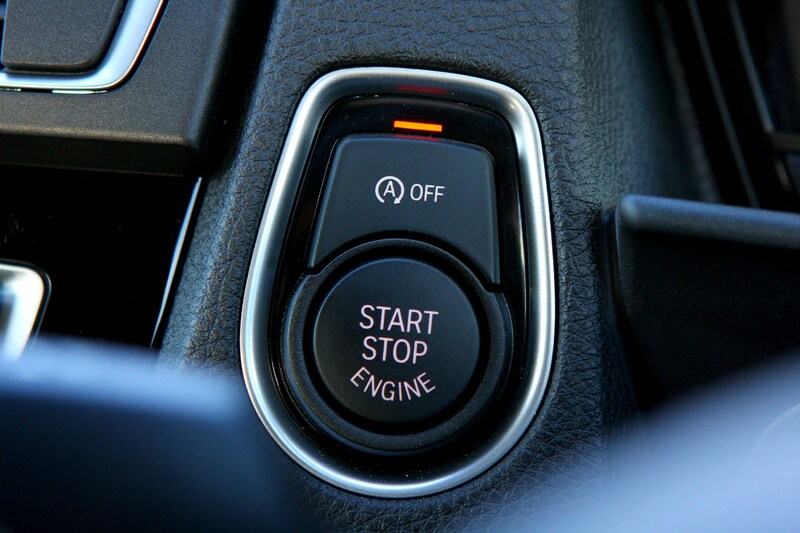 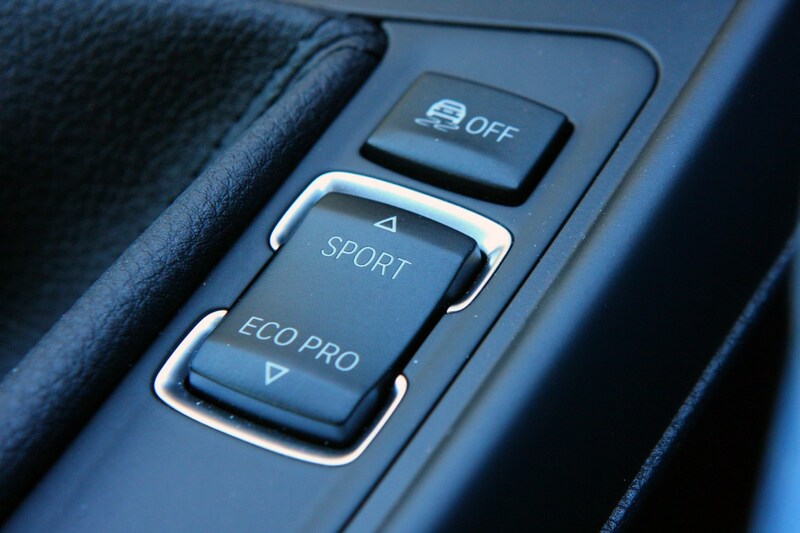 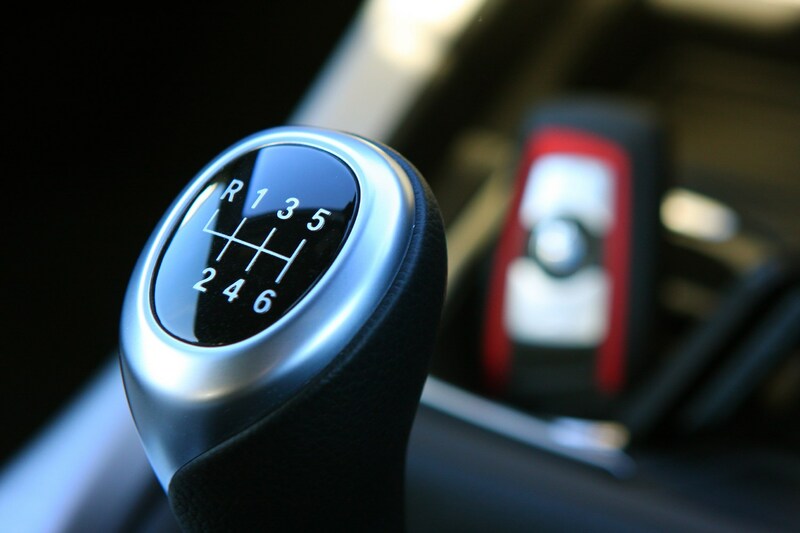 Each of those figures can be improved upon slightly by choosing the optional eight-speed automatic gearbox. 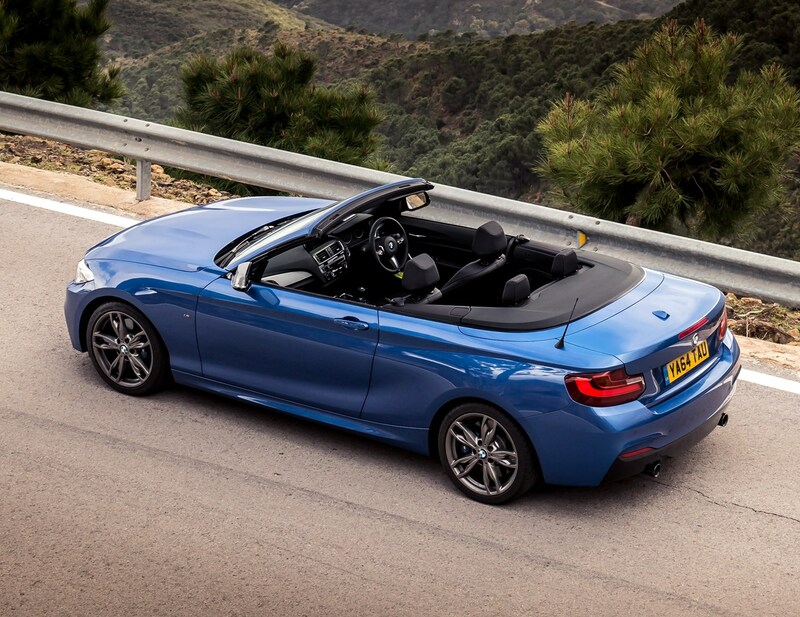 BMW will be offering the 2 Series Convertible in four trims, depending on the engine you’ve chosen. 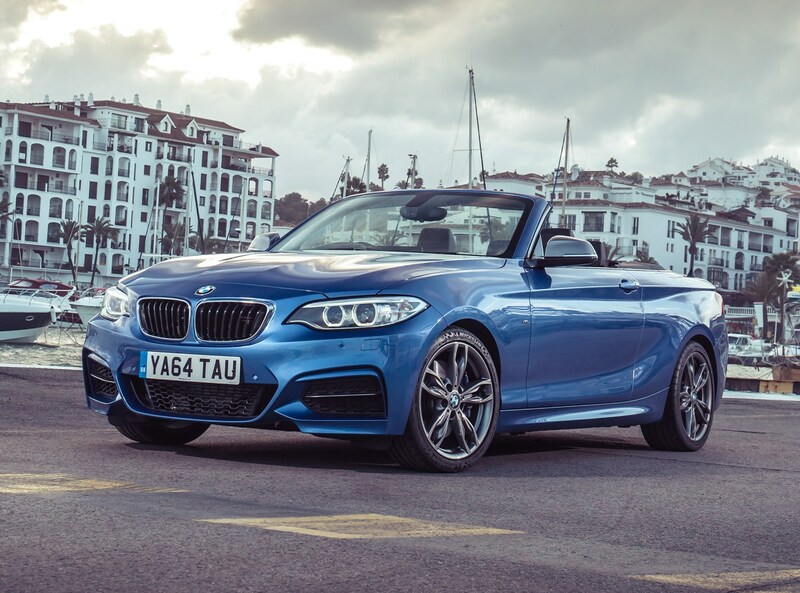 Sport, Luxury and M Sport will be available for the 220d and 220i models, while the 228i will only be available in M Sport. 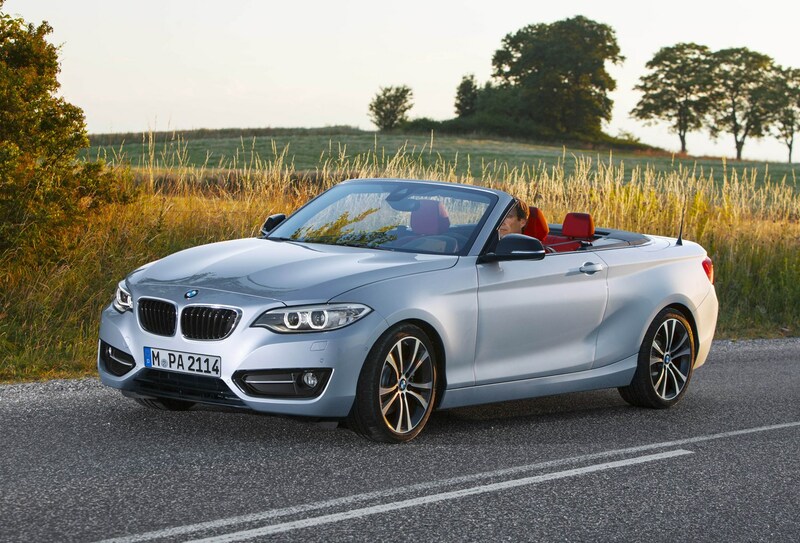 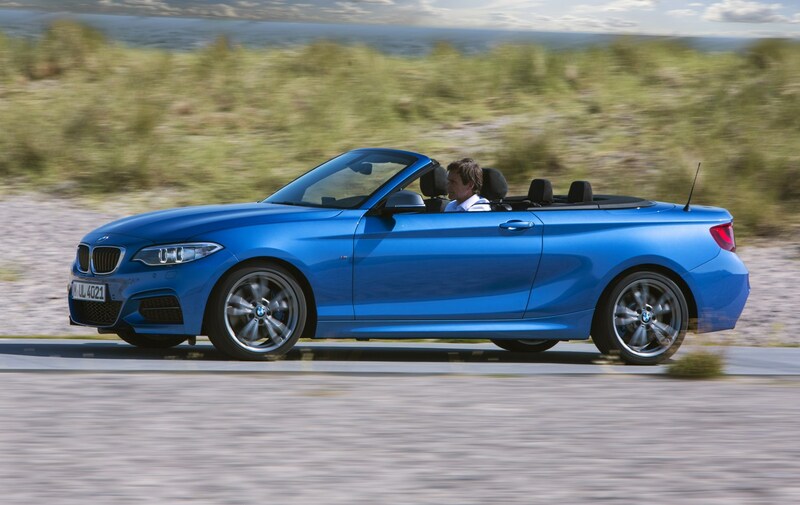 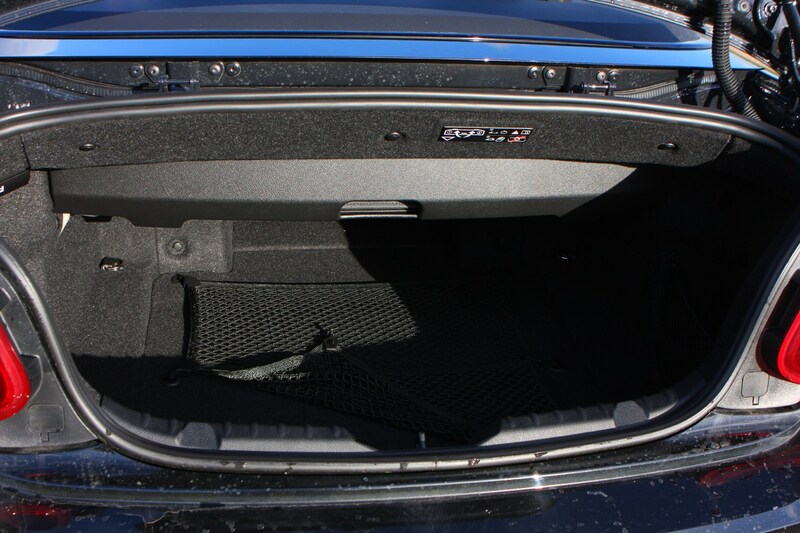 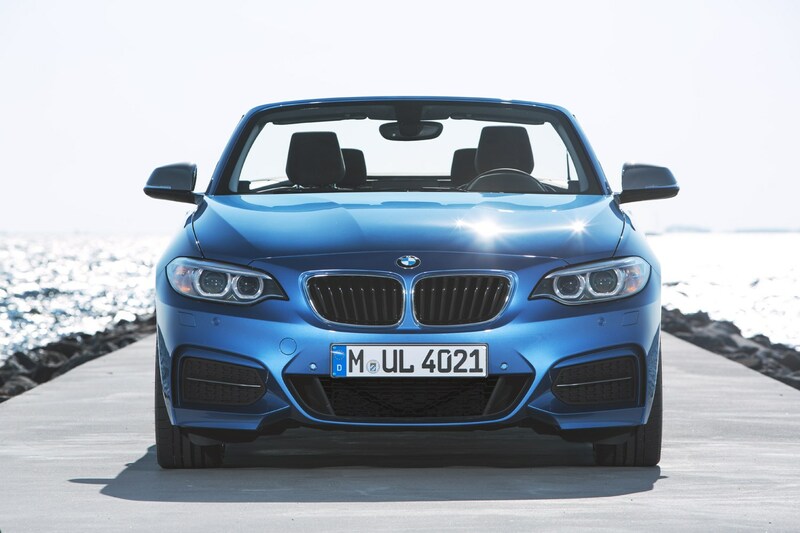 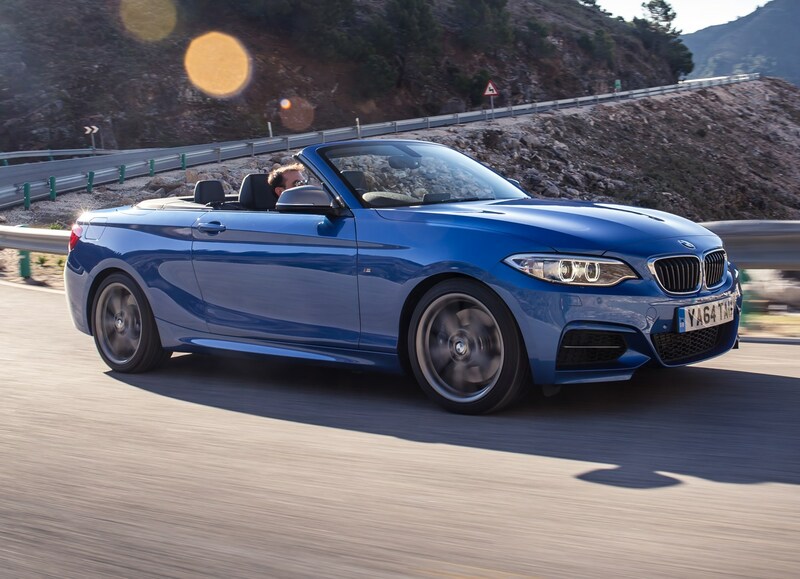 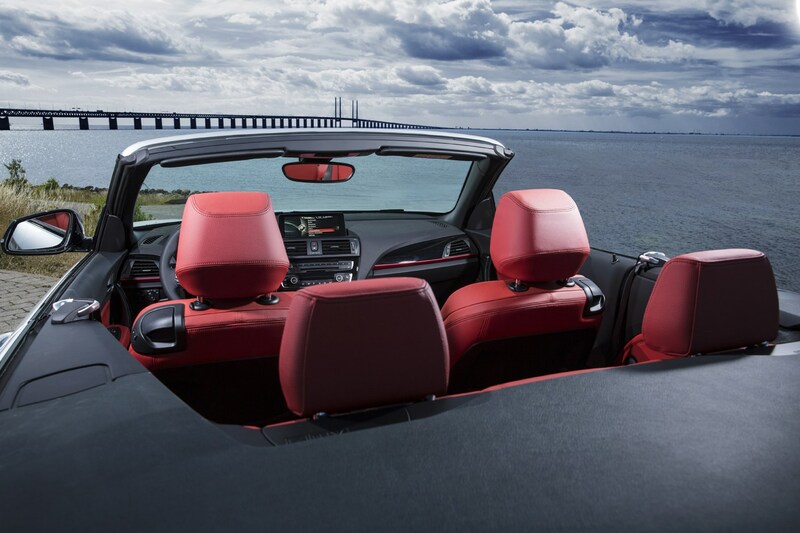 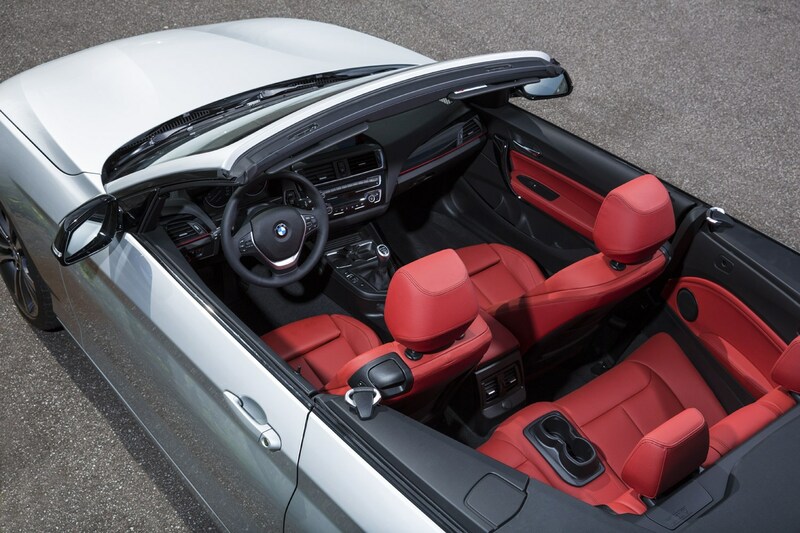 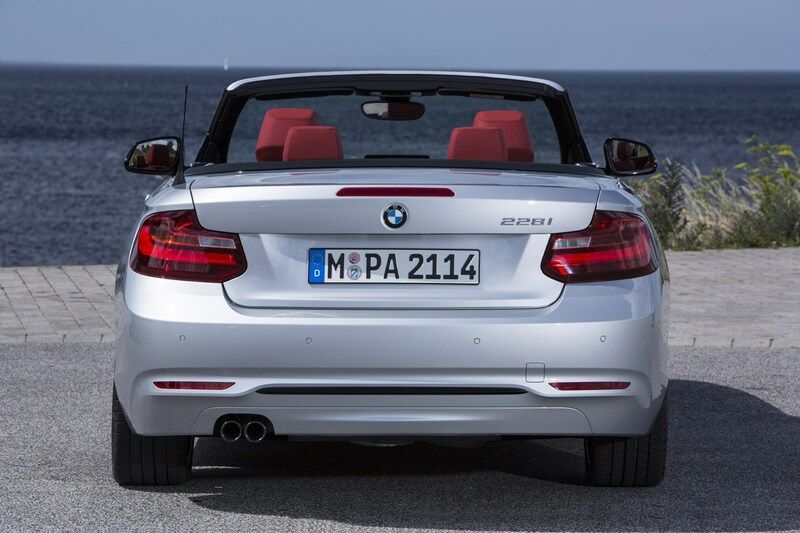 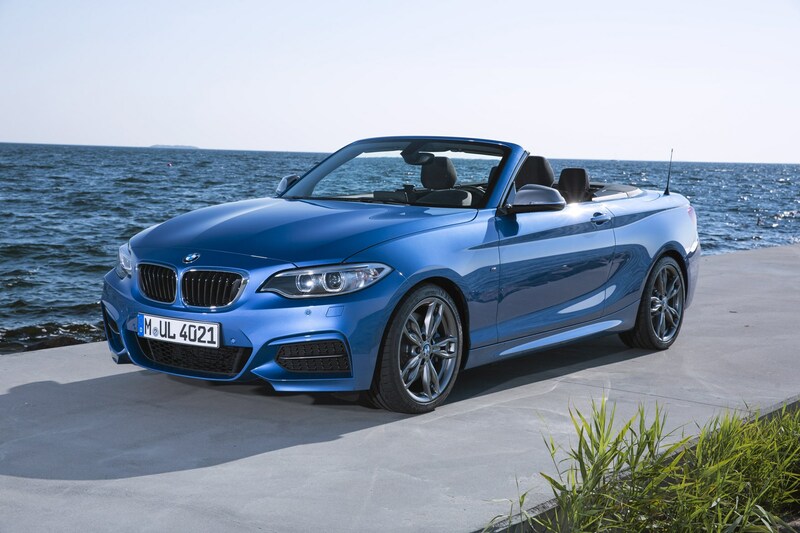 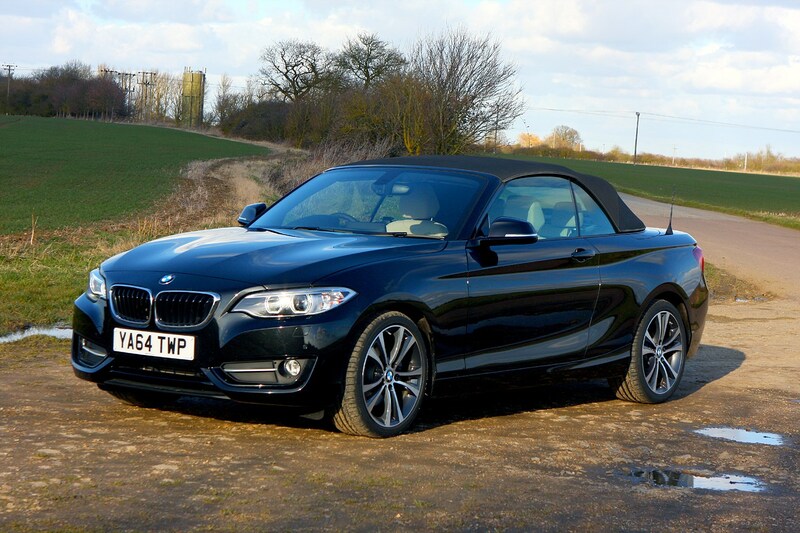 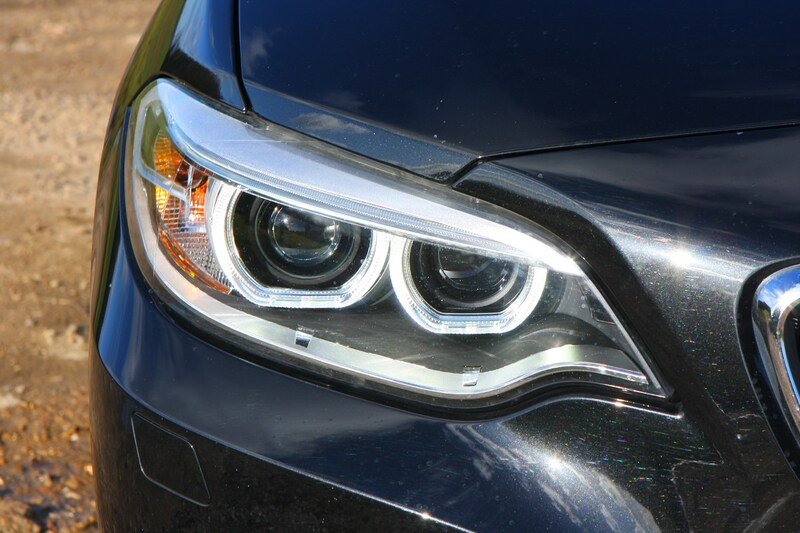 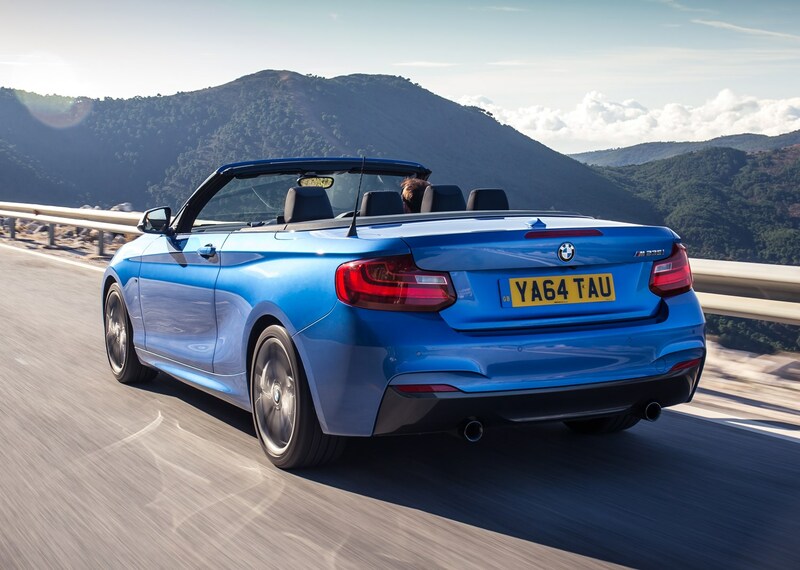 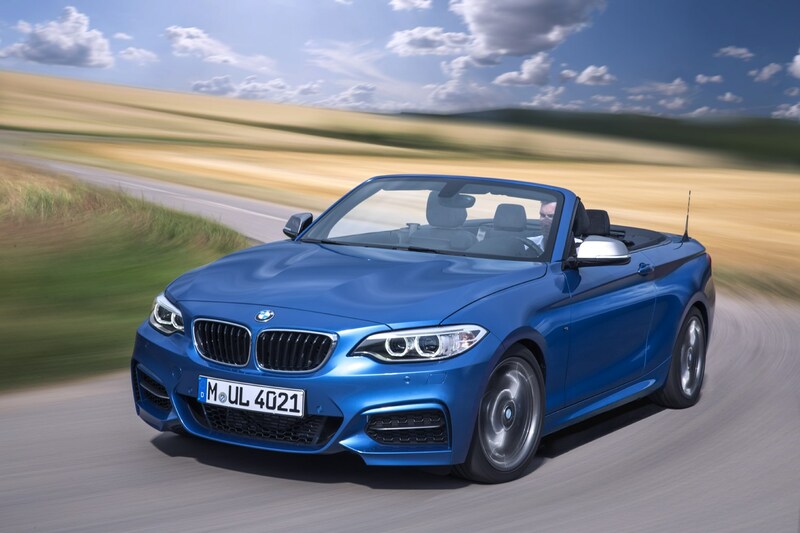 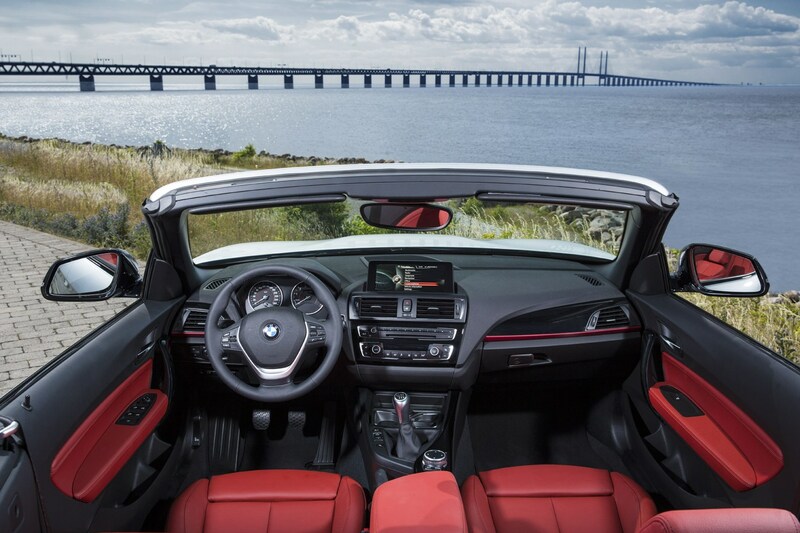 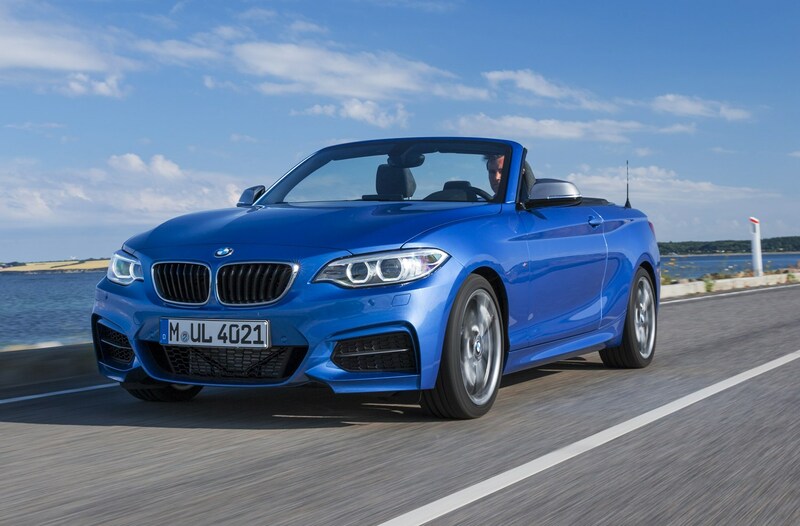 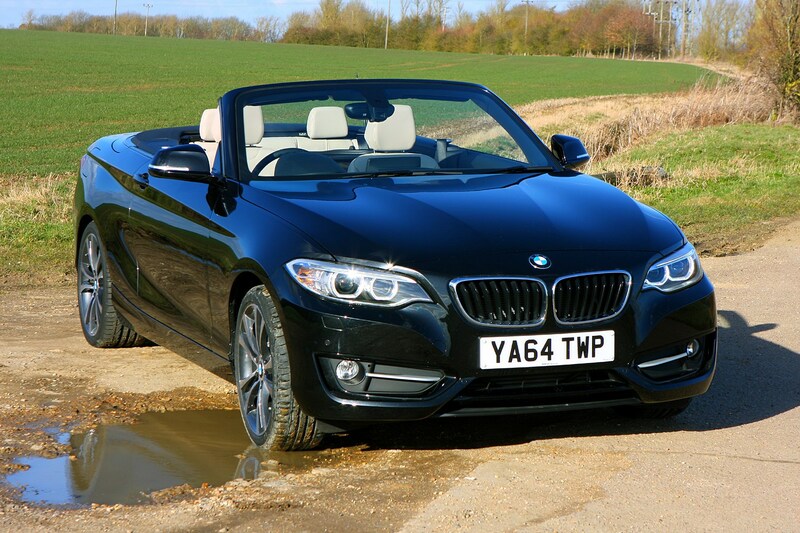 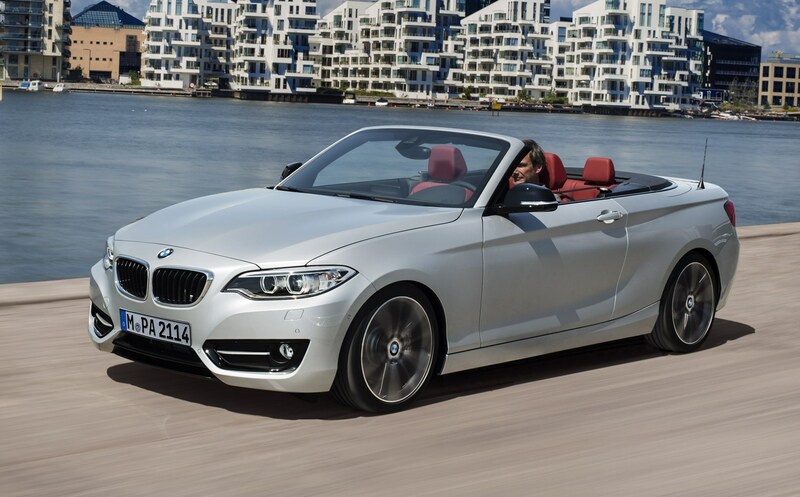 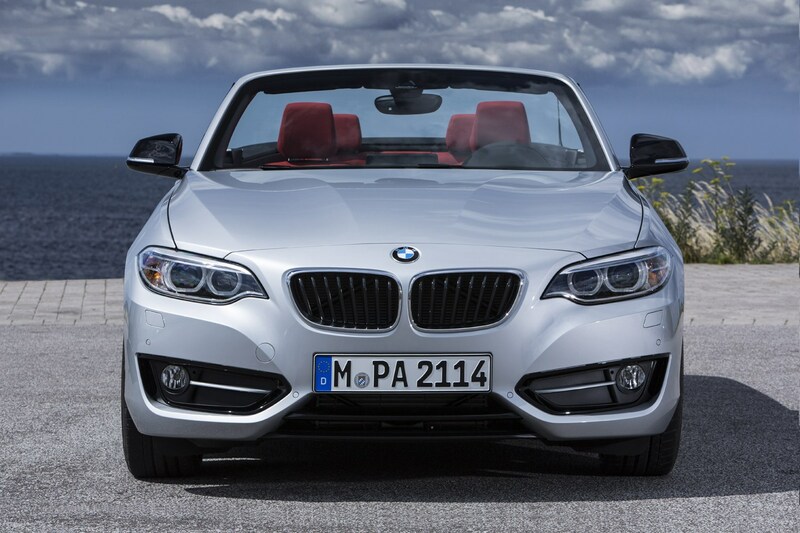 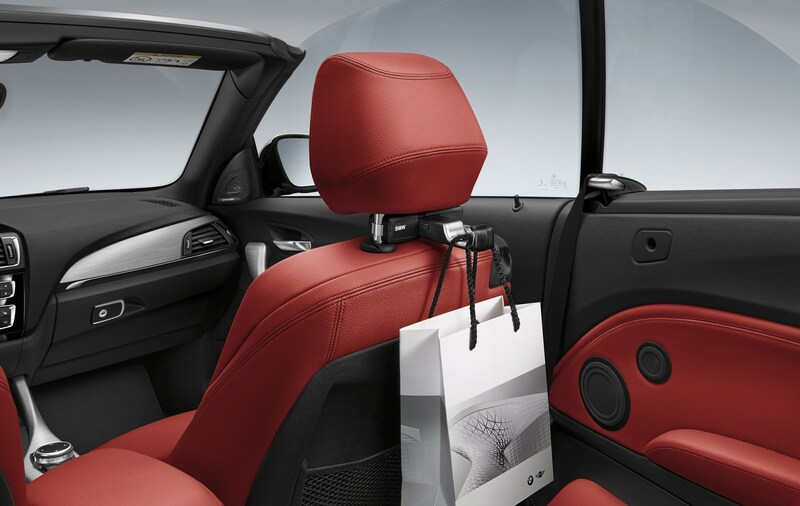 The M235i Convertible has a trim level all of its own at the top of the range. 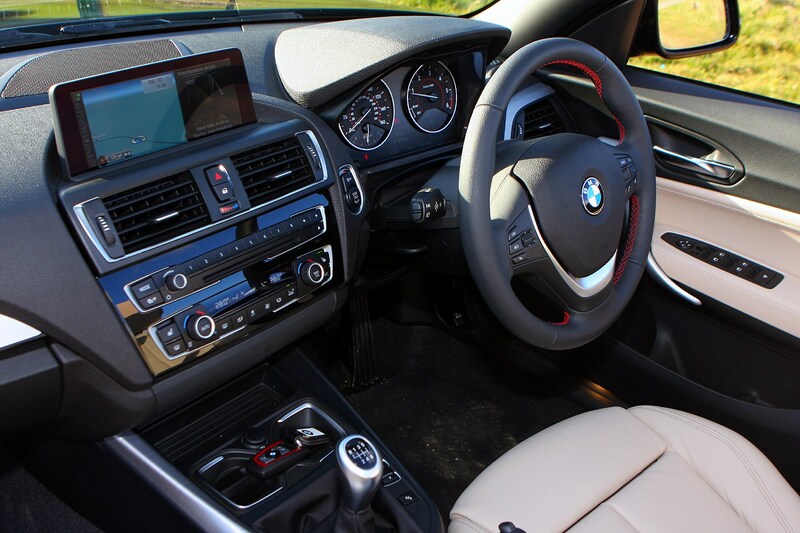 Standard specification includes alloy wheels, air conditioning, Drive Performance Control (to alter the car’s characteristics based on the driver’s requirements), sports seats and a leather multi-function steering wheel. 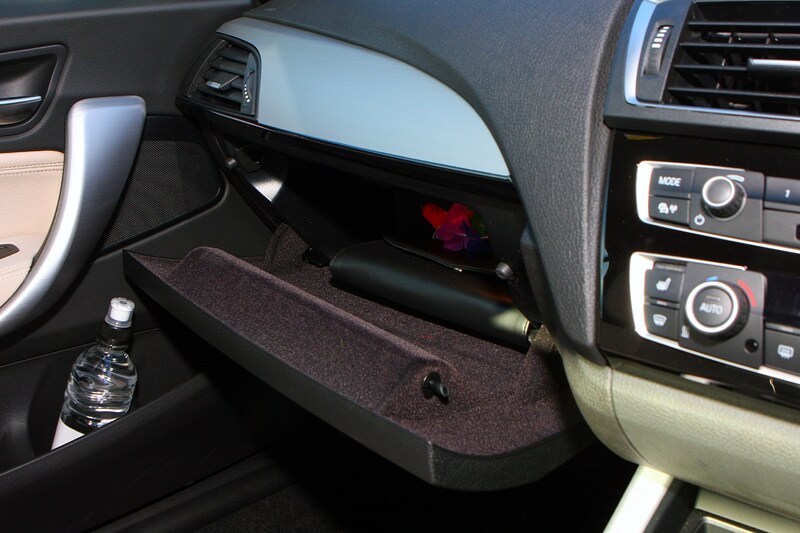 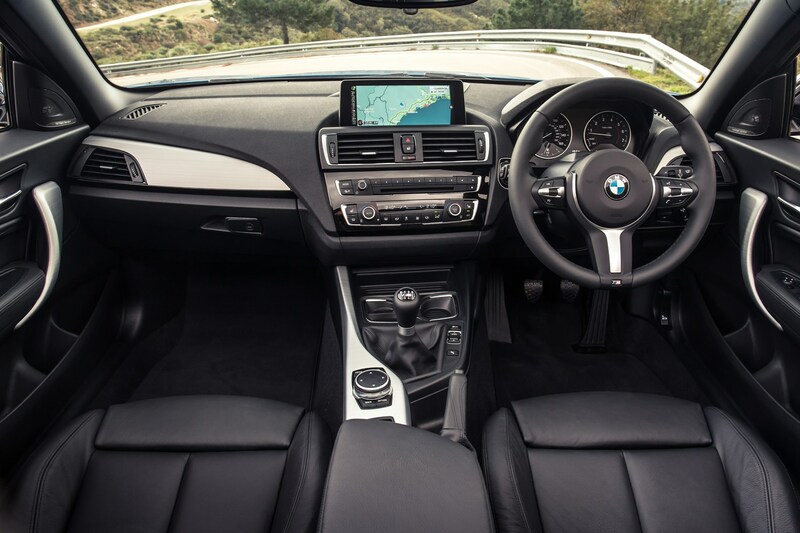 You’ll also get Bluetooth connectivity, a USB jack, DAB digital radio and a service which calls help in the event of an accident. 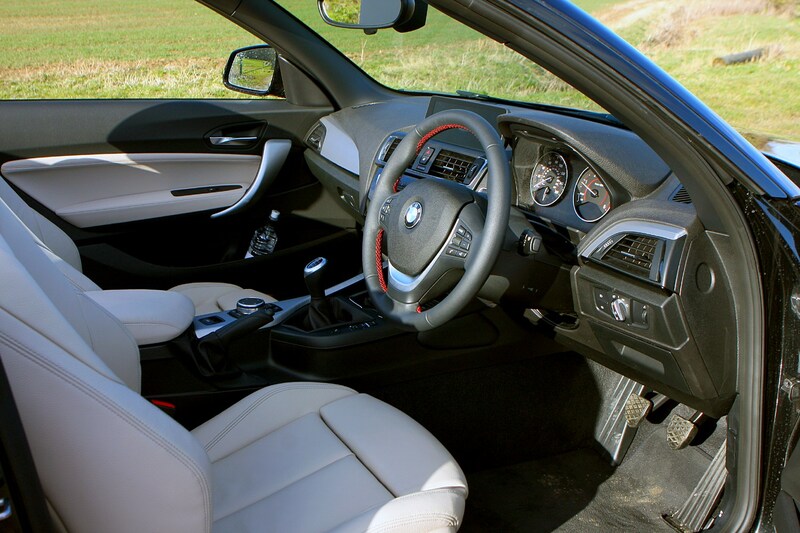 Luxury trim adds larger wheels, wood interior accents and leather upholstery. 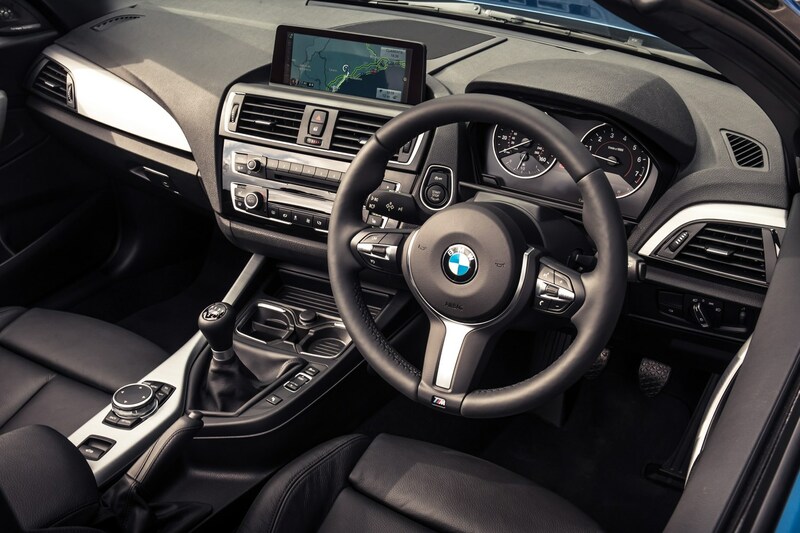 M Sport cars get aluminium and blue interior detailing, a different front grille, M Sport suspension, a new sports steering wheel and a bodykit. 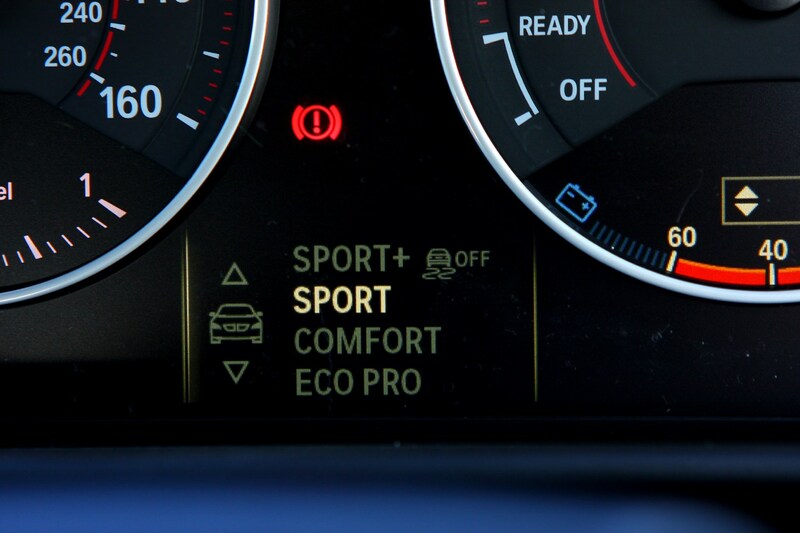 Optionally available is the M Sport Plus package, which further amplifies the sporty nature of the car through styling tweaks plus an upgraded stereo, Xenon headlights and upgraded M Sport brakes. 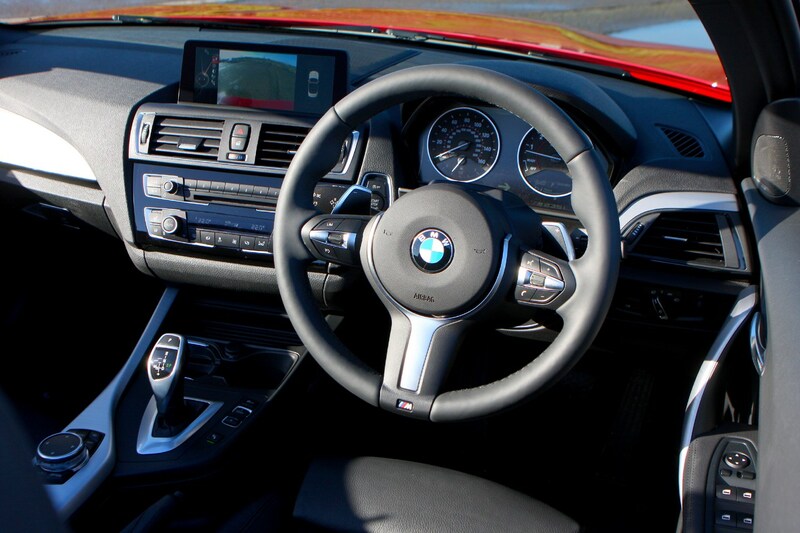 Finally, the M235i model features a bespoke set-up including larger wheels, M Sport suspension and brakes, unique body styling and leather upholstery. 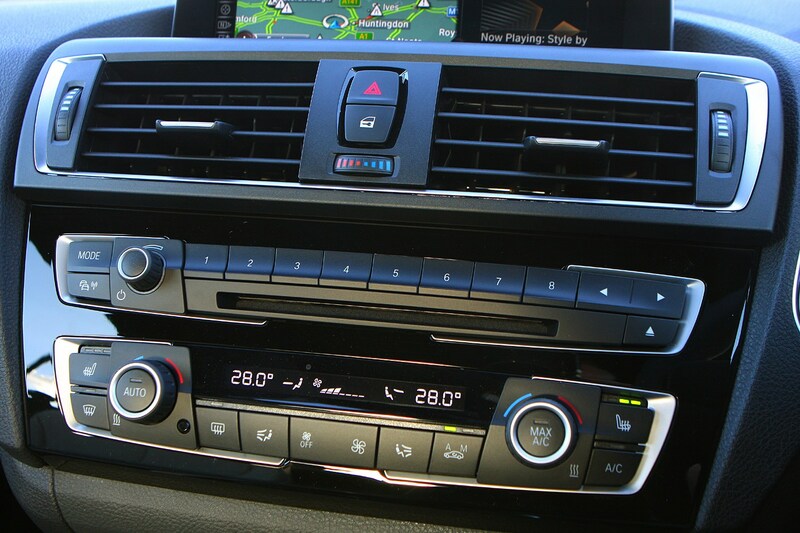 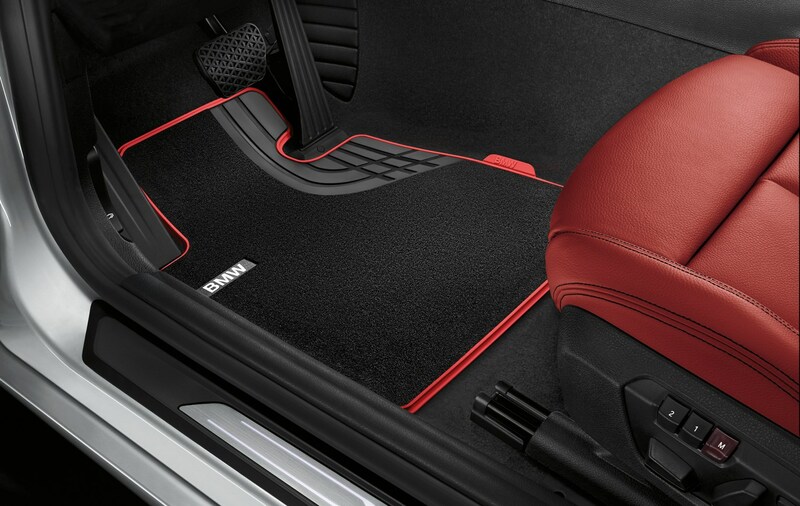 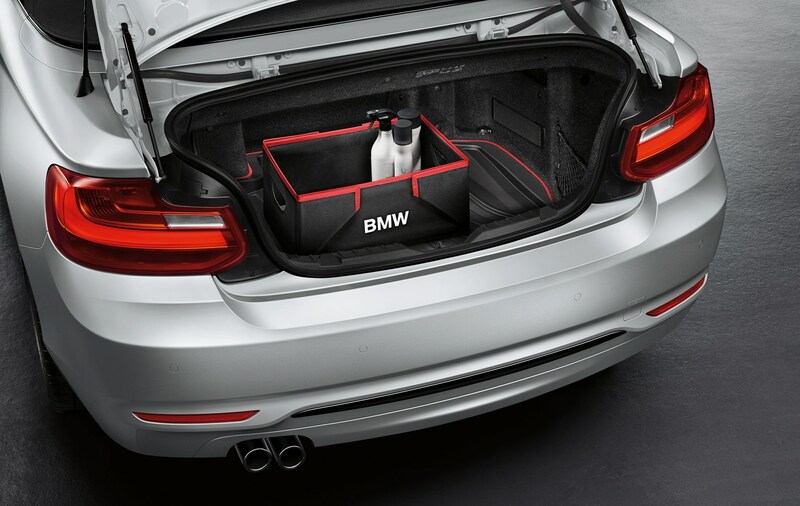 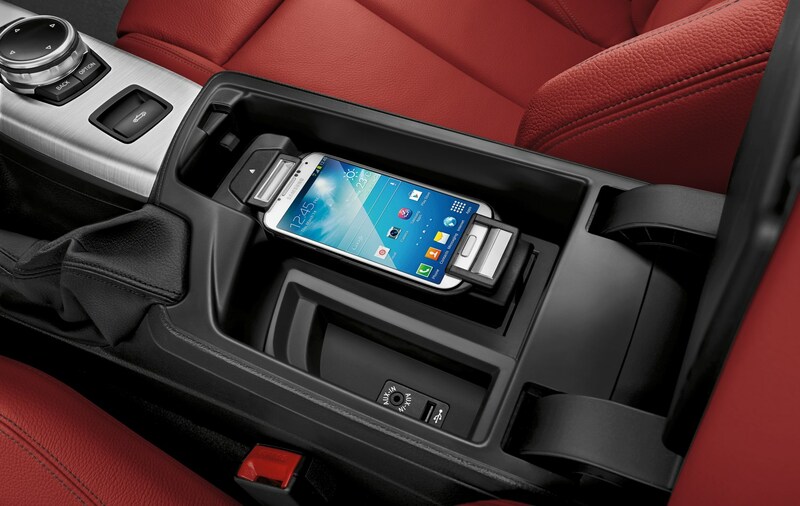 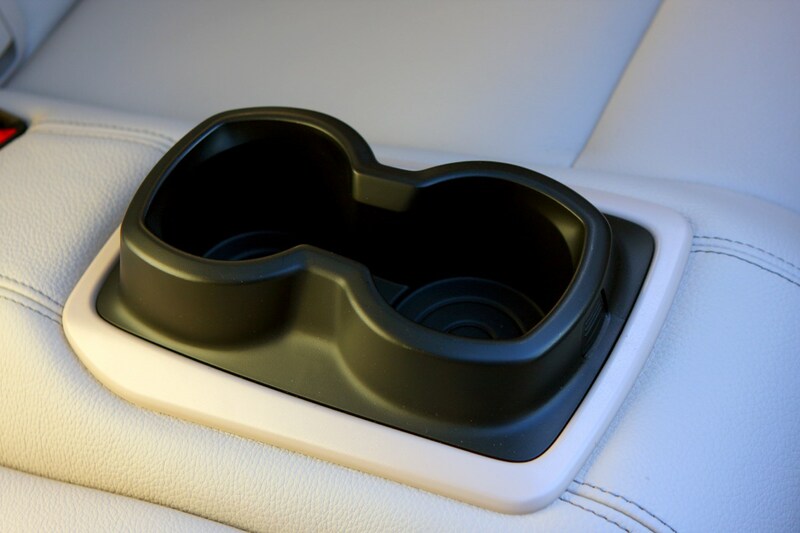 Of course, being BMW, there will be a vast array of optional extras on offer too. 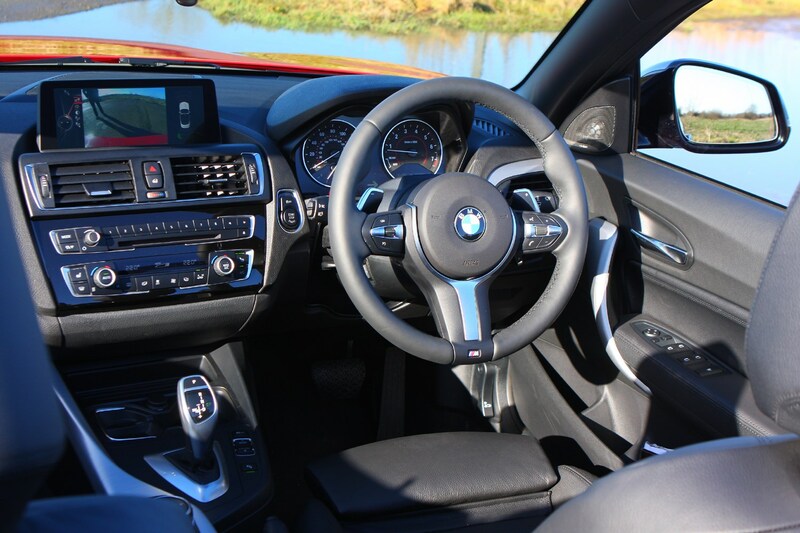 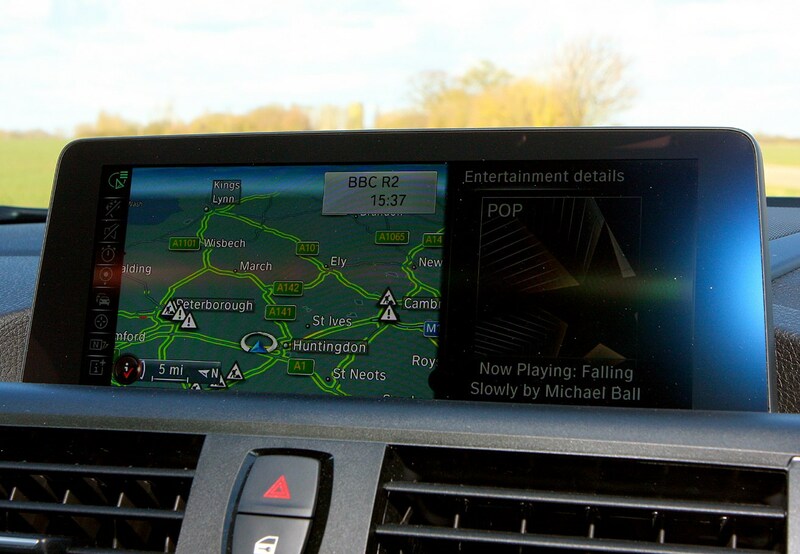 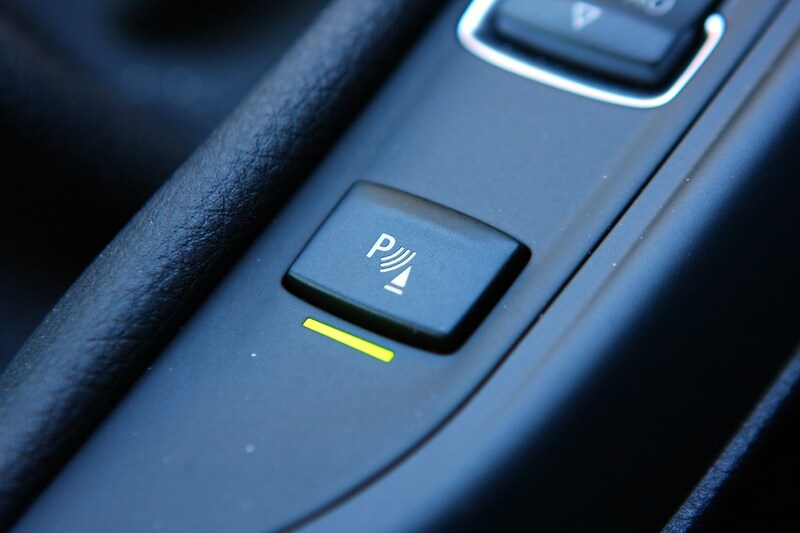 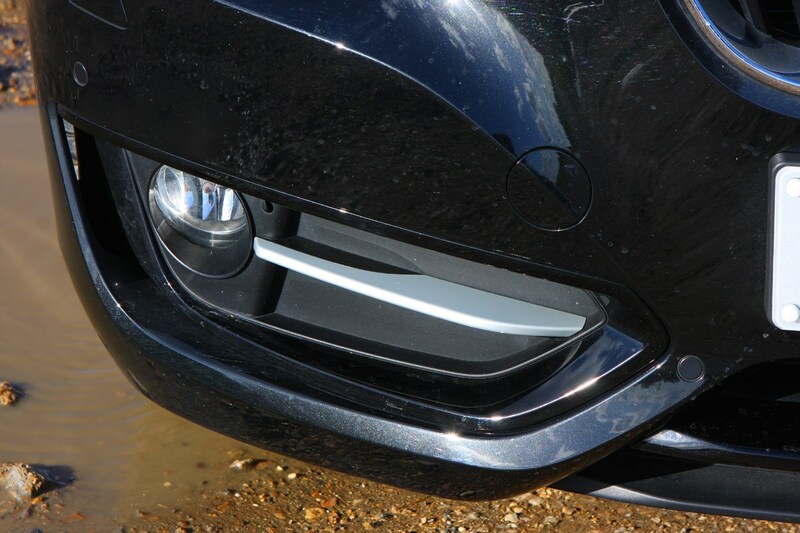 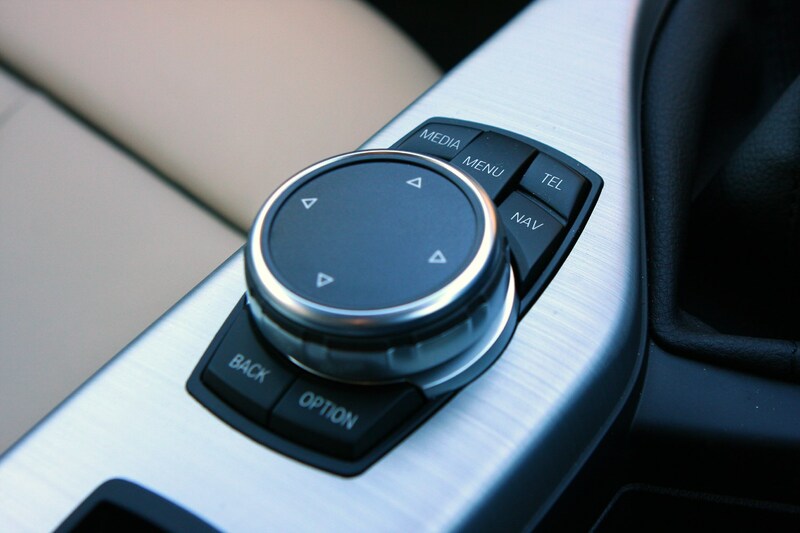 Highlights include a range of clever ‘connected’ multimedia systems which use the internet to search and direct, a range of safety features such as blind-spot warning, collision warning, rear parking sensors and a rear-facing parking camera. 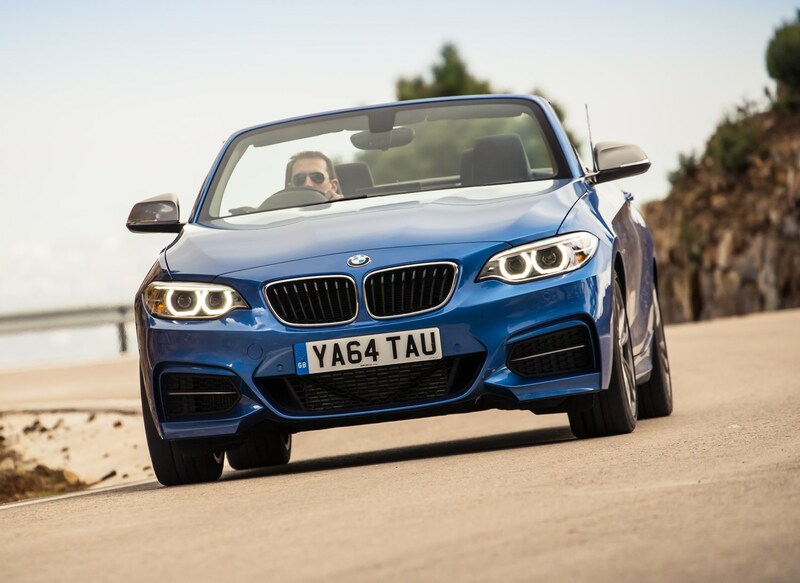 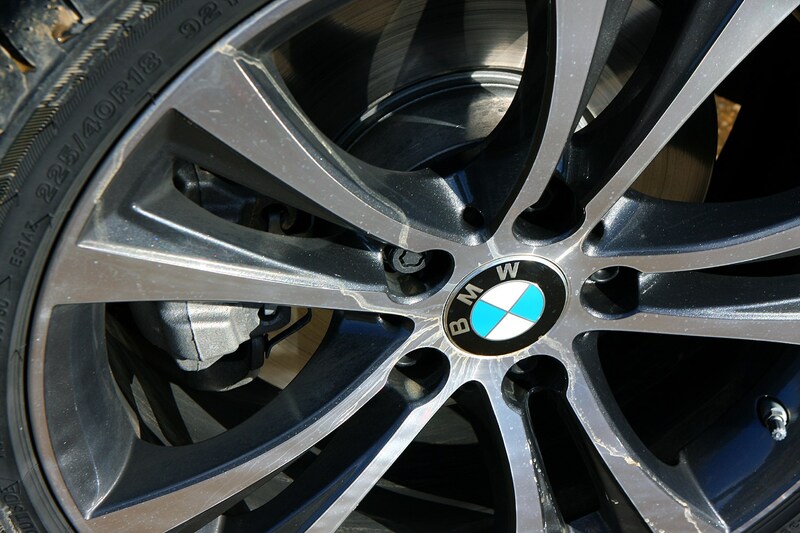 Specific to the M235i model is a limited-slip differential option, which is a must for driving on track. 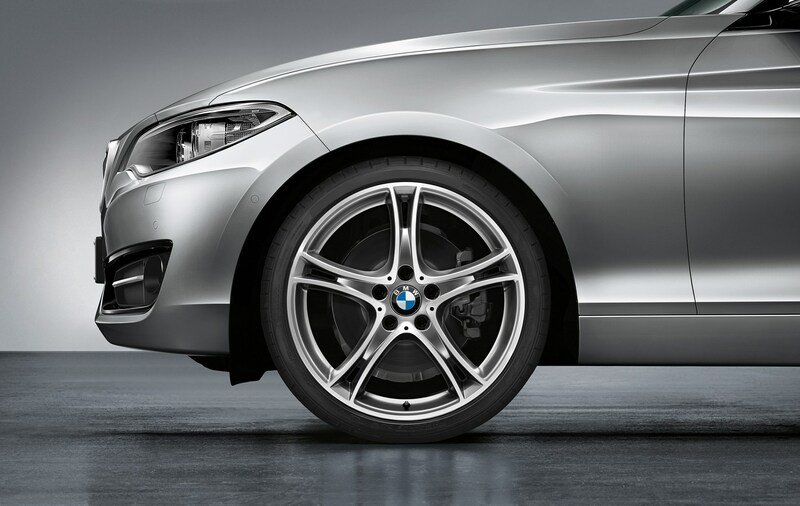 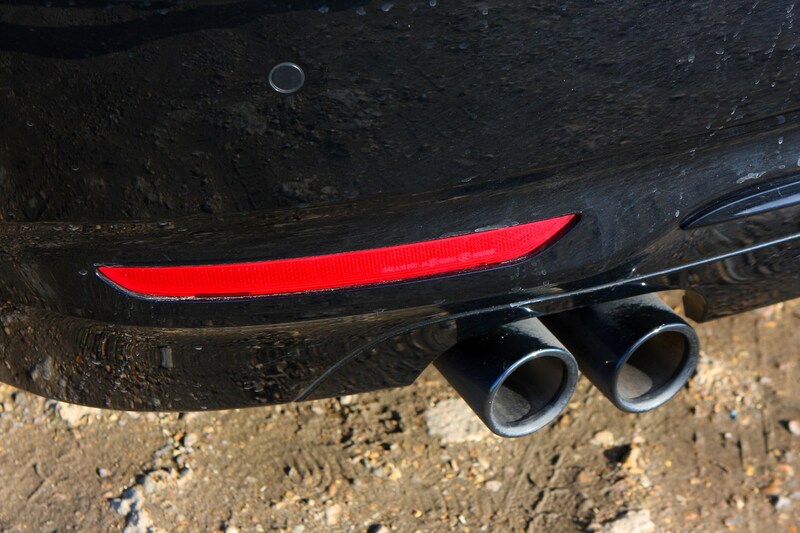 This ensures both rear wheels have the optimum traction through a corner, increasing stability. 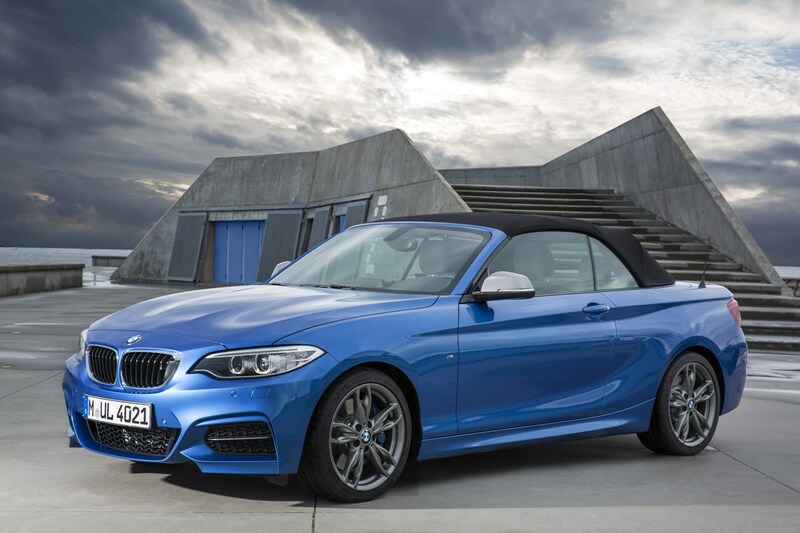 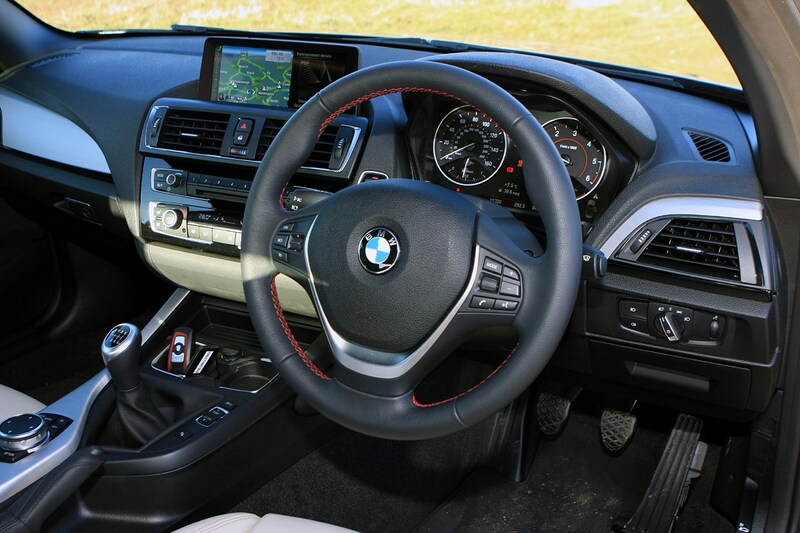 Due to go on sale on February 28, 2015, prices are set to start at £29,180 for an entry-level 220i Sport. 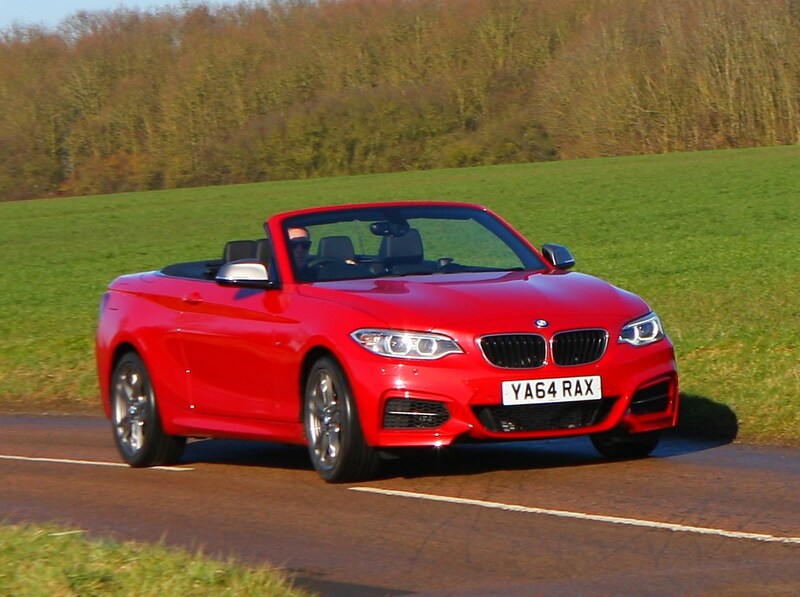 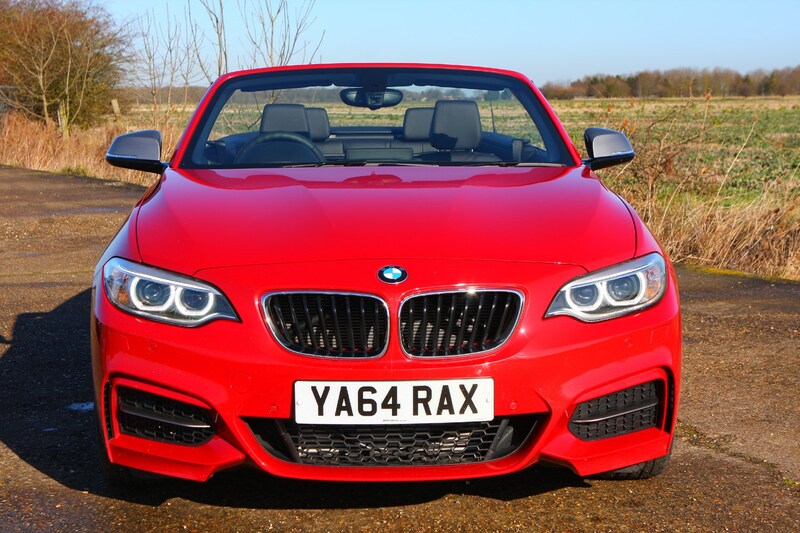 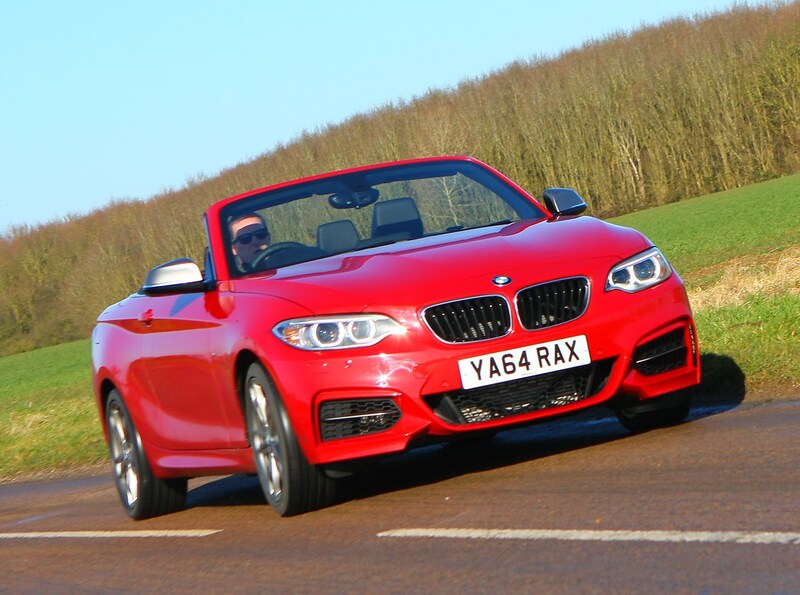 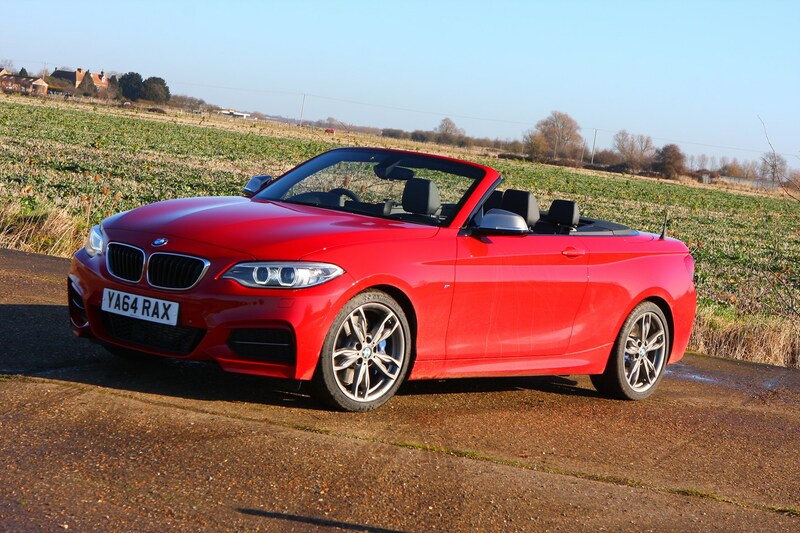 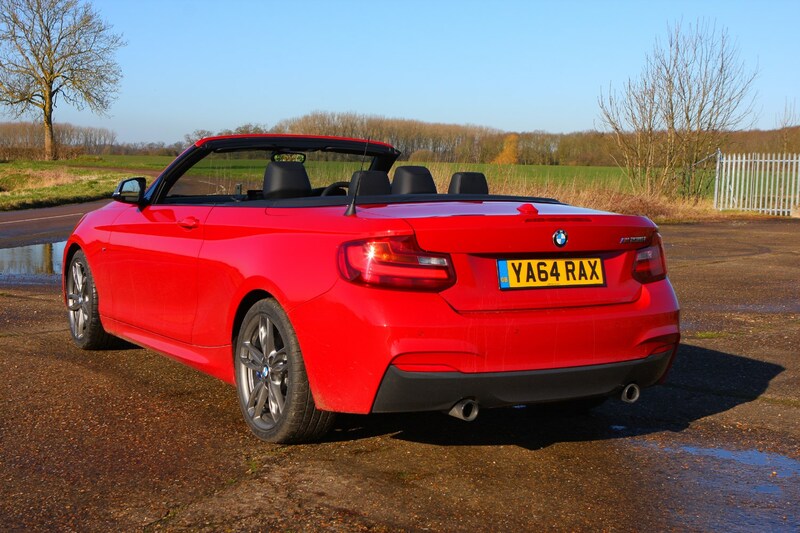 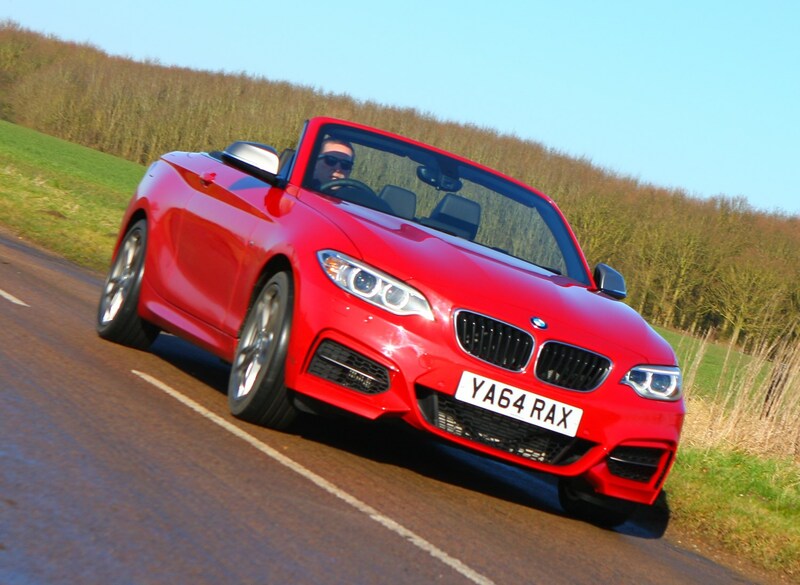 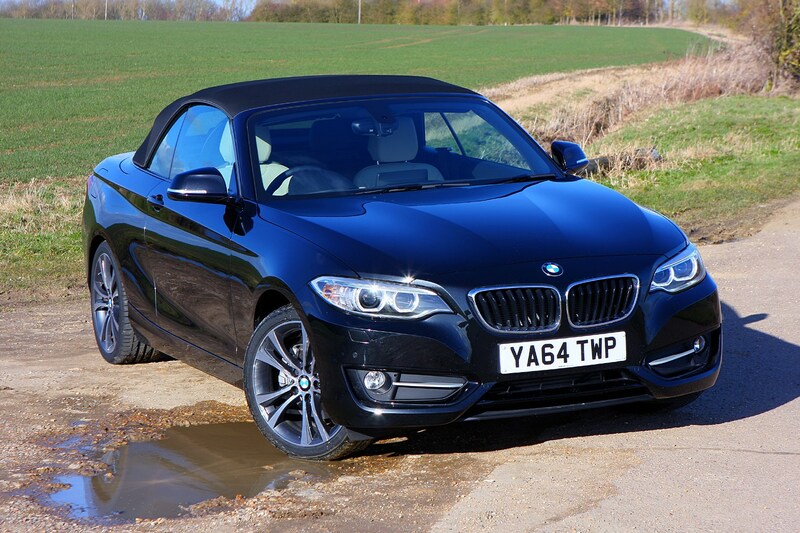 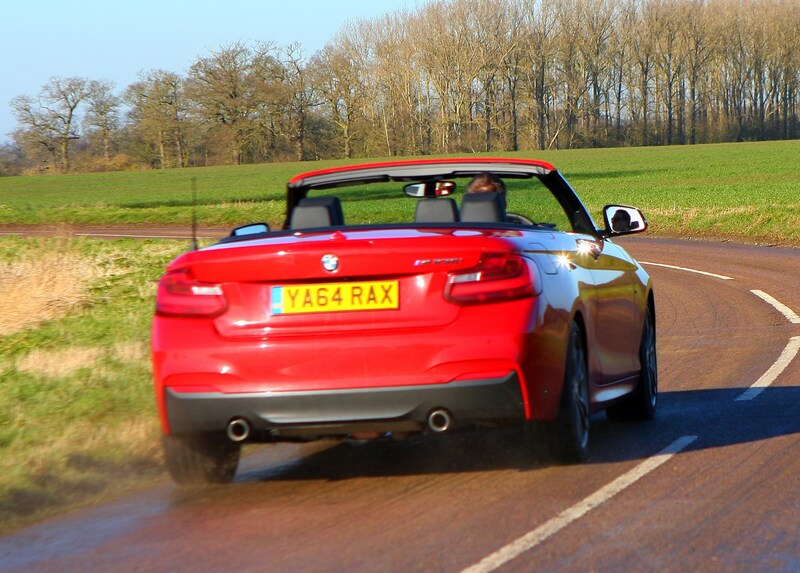 Read on for the full Parkers BMW 2 Series Convertible review, and our definitive verdict on what makes this car so appealing. 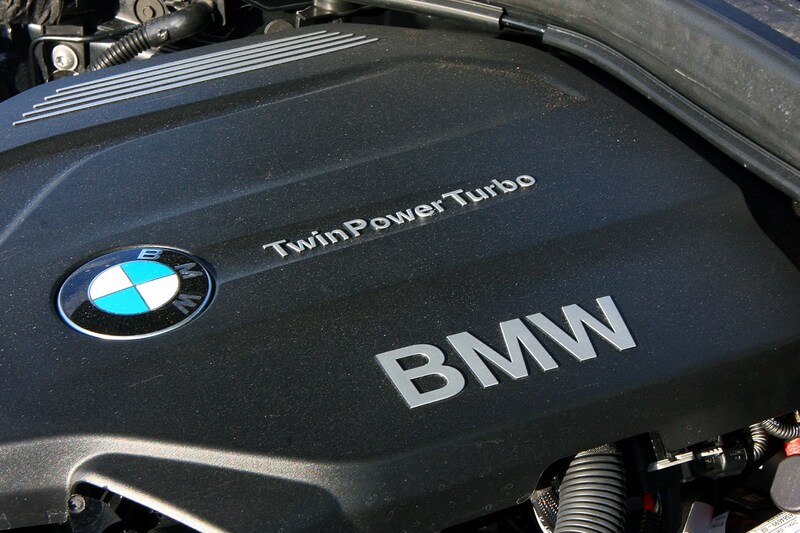 There is not much to fault here. 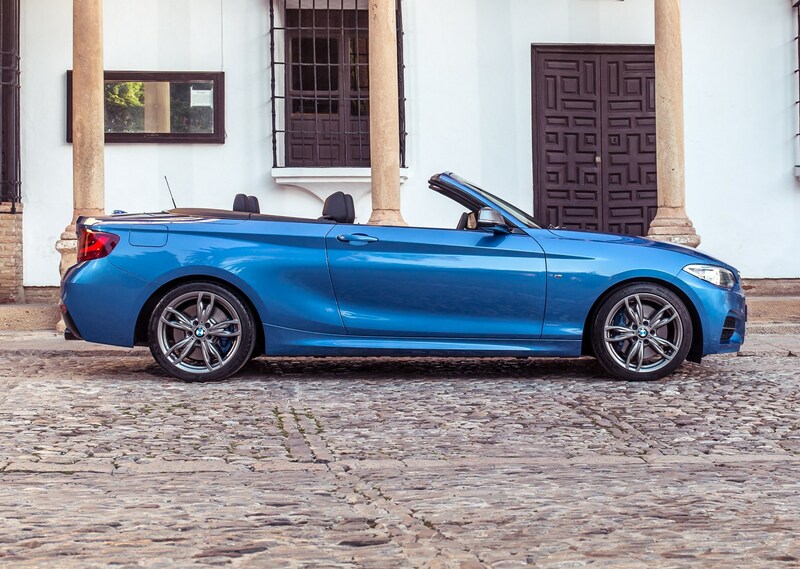 The 2 Series Convertible looks good, drives well and there’s an engine for everyone meaning you can be as frugal or as lavish as you like. 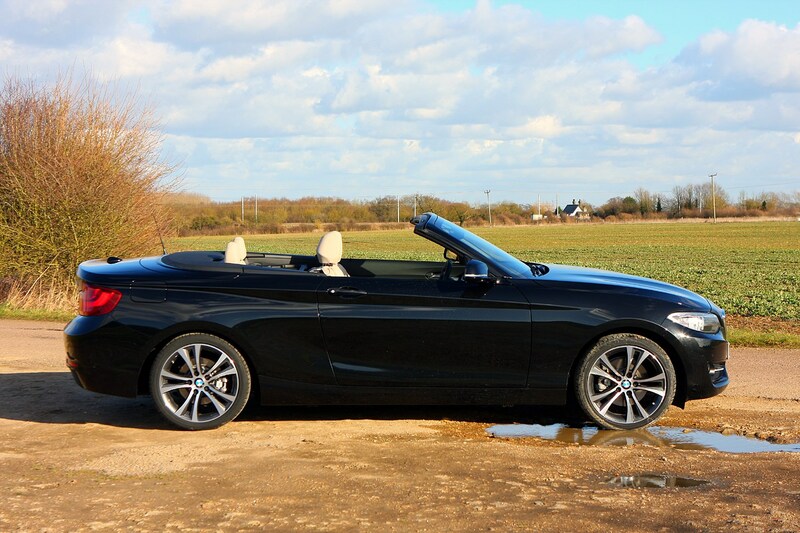 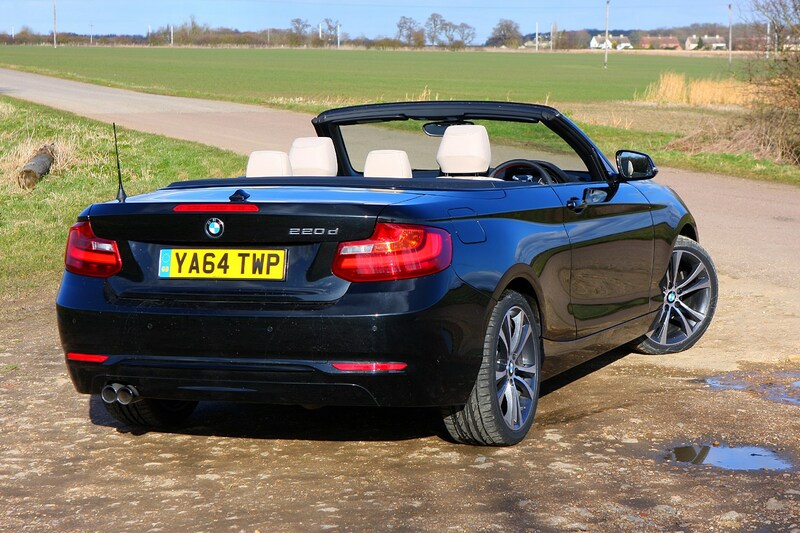 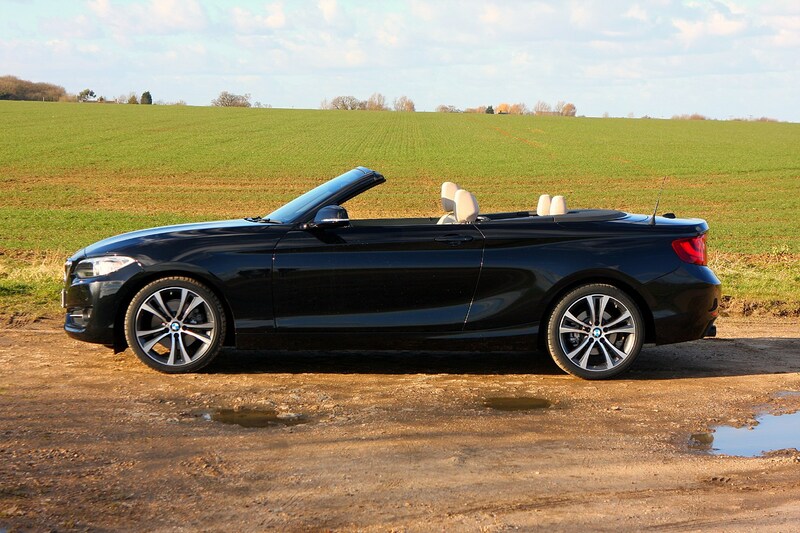 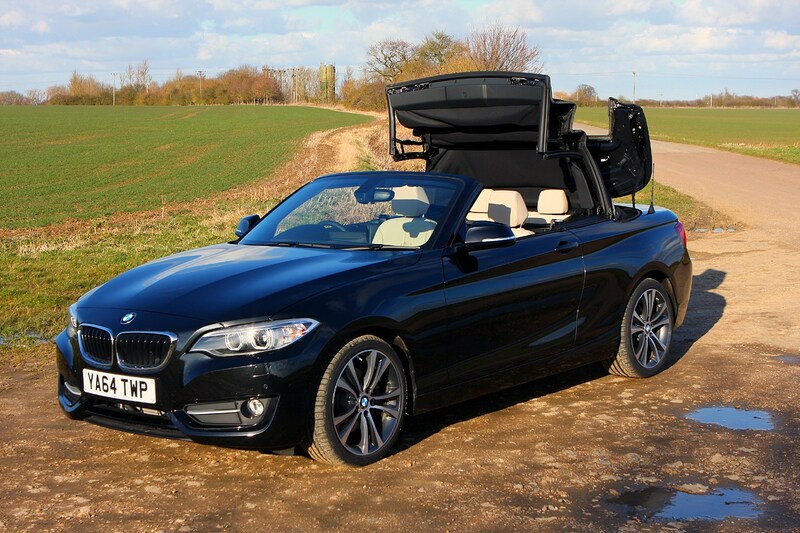 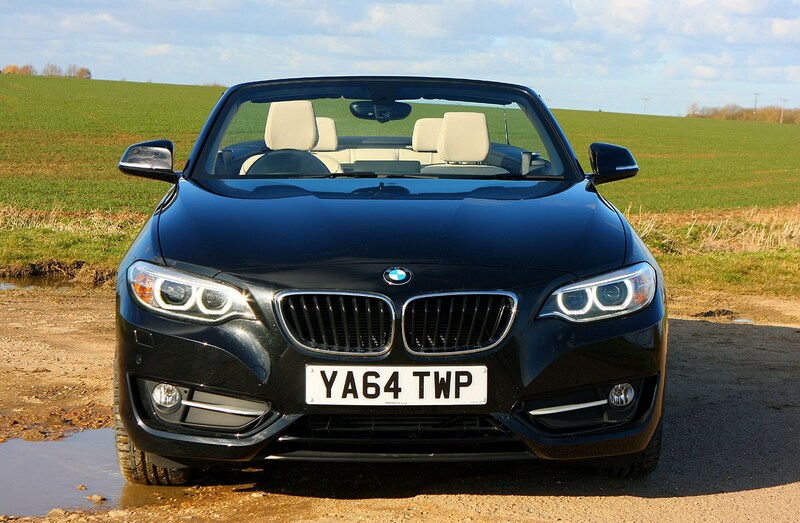 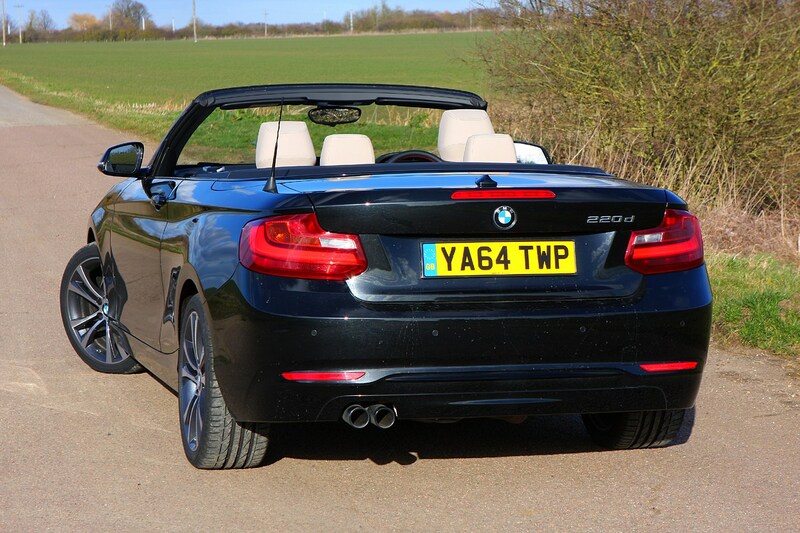 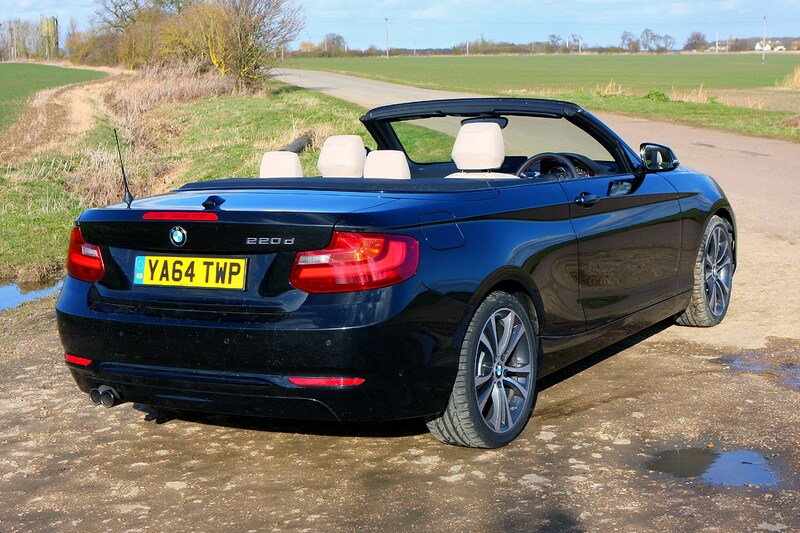 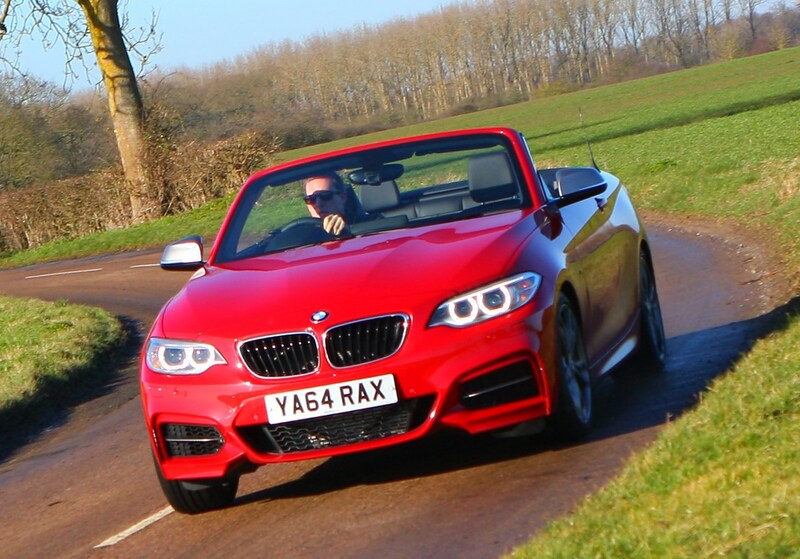 Even for a convertible, this car handles extremely well thanks to some clever engineering from BMW – driving this is a pleasure - and when the roof is down the cabin remains remarkably tame. 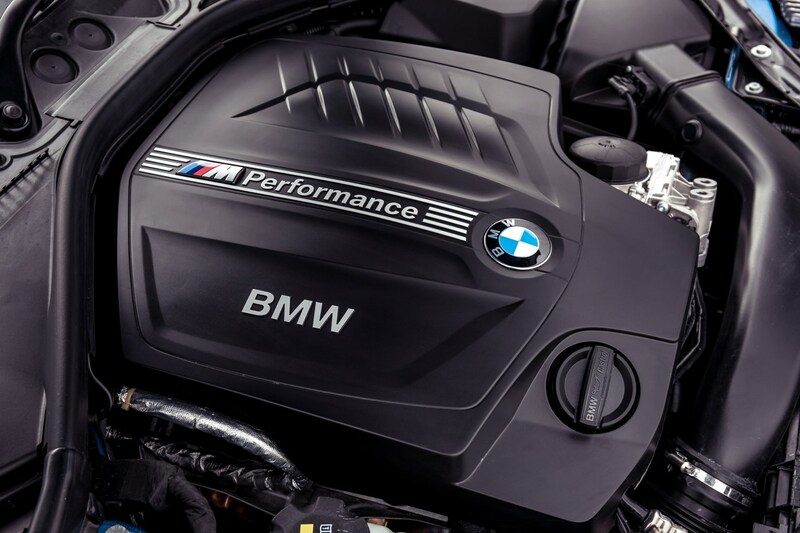 We recommend spending the extra money to get one of these in a higher spec, mainly to give yourself the best of choice of engines and optional kit.